Fourth grade readers and writers are drafting reading responses with me this week. 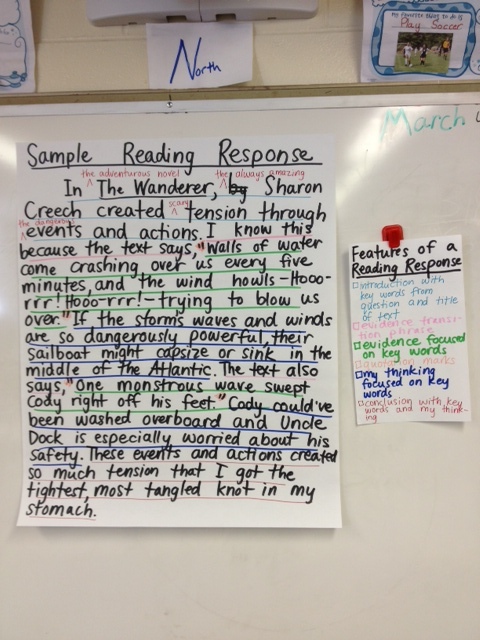 During my focus lessons, I’ve modeled the process based on my reading of Sharon Creech’s The Wanderer, which my husband, a fellow teacher, and I both read and enjoyed over vacation. 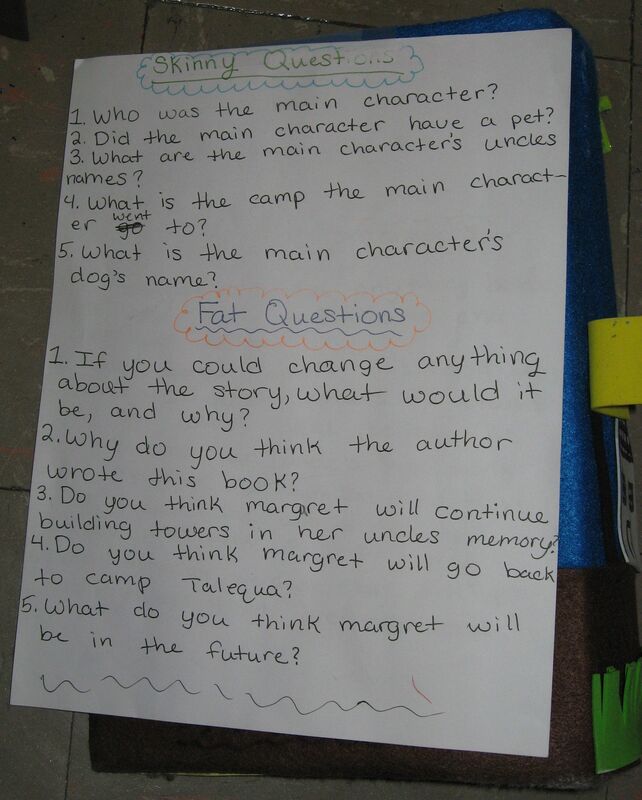 Below, you’ll see my complete reading response draft that they could refer to while writing, along with a “Features of a Reading Response” that they had printed on sticky notes to check off while writing. 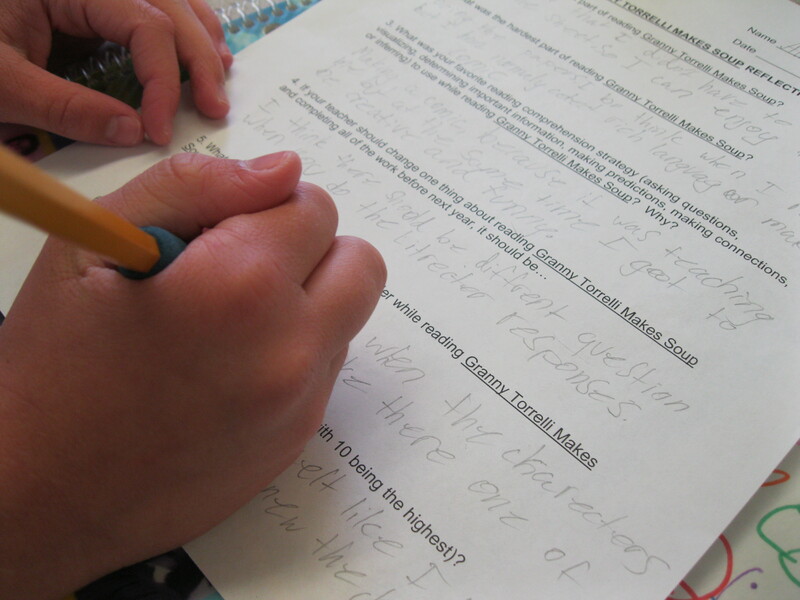 By day four, students will have a complete draft ready to analyze and revise! Marvelous mathematicians! Write your word problem in the style of Mr. Delani’s, and then see if you can solve your problem THIS way. Don’t fear disequilibrium! 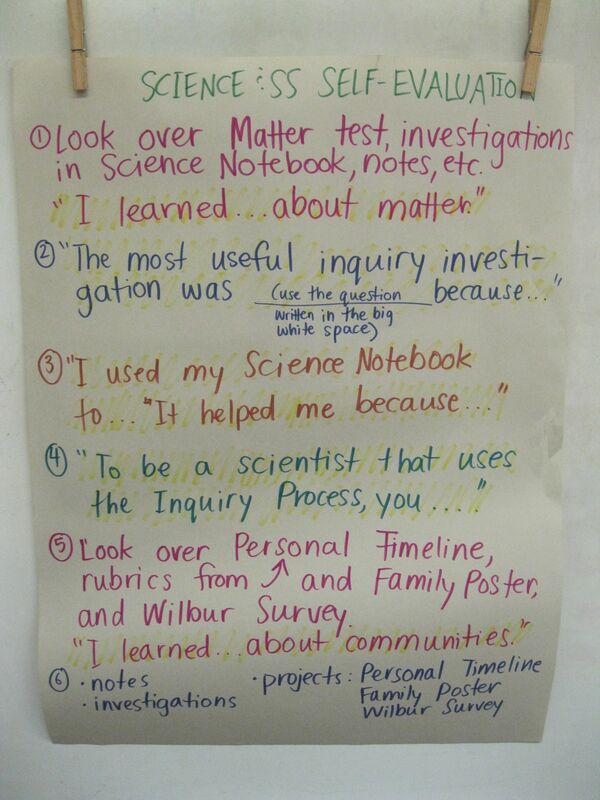 Inquiry-Based Science Post-Survey for my scientists. THANK YOU SO MUCH for making this class a pleasure to teach. Your willingness to participate and experiment (literally and figuratively!) is a model to your colleagues! Bravissima!! Inquiry-Based Science Pre-Survey for my scientists. Take a few minutes to complete this anonymous survey before we begin our five-week class. Thank you! Staples in Raynham had boxes and boxes of some of my supplies. 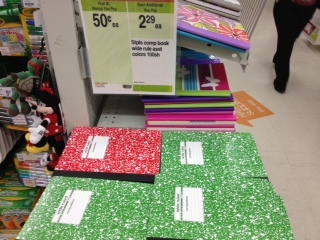 Green composition notebooks are 50¢ (you’ll need 1), folders in all colors of the rainbow are 15¢ (you’ll need 2 and one needs to be green), and multi-colored spiral notebooks are $1.00 (you’ll need 2 and one needs to be red). I think stores will have a few of these items for cheaper later in the summer, but if you’re an early bird shopper, these are still good deals! Dollar Tree in Raynham had a few items from my list. 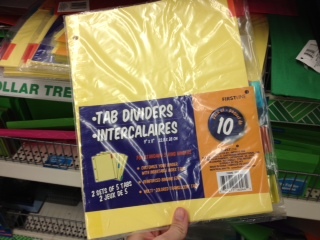 Everything at this store is $1.00, so you can leave with your three hole-punched pencil pouch and a set of dividers for 2 bucks. 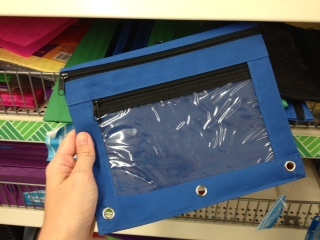 You could even split the dividers with someone else in 5V since the package has ten and you only need 5! 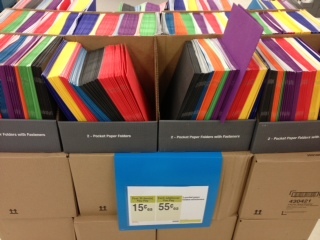 So far, you’ll only have spent $4.80 ($4.30 if you go halfsies on those dividers!) for all of these supplies, and you only need two binders and a set of colored pencils left to get. I will be sure to continue posting back to school supplies I see around town! As always, if you have trouble finding or getting anything on my supply list, don’t even worry. I always buy extras! 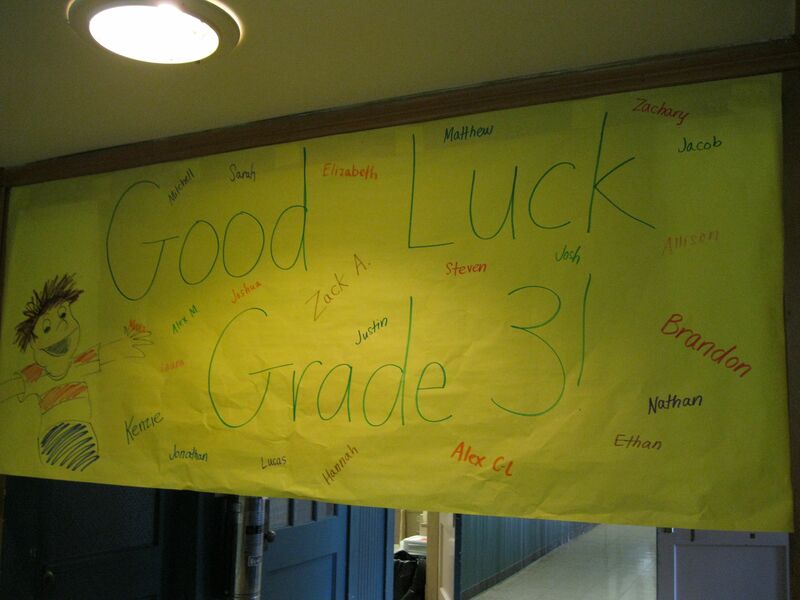 Happy last day of fifth grade, 5V and 5L!!! So long! Farewell! Just found out about a great event that’s happening this weekend at WPI in Worcester called Touch Tomorrow. If you don’t have plans, this looks like a fantastic, hands-on learning opportunity for your fifth grade scientist and mathematician! I tell my students all the time that science and math are the future. Encourage them to touch tomorrow! 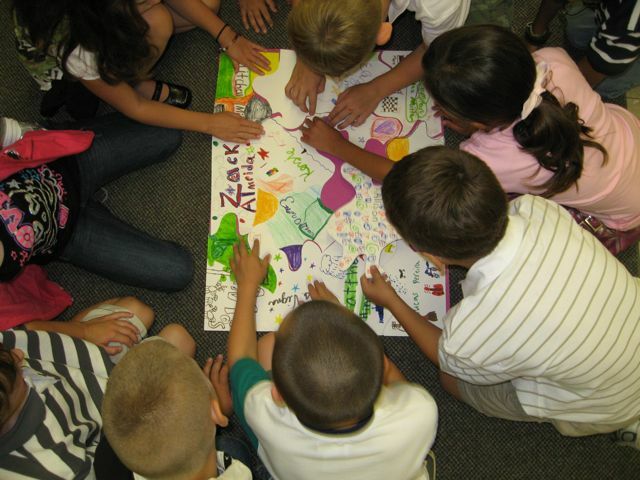 Quiz your fifth grader about where photosynthesis occurs or what is created as a result of photosynthesis. They can teach you something! 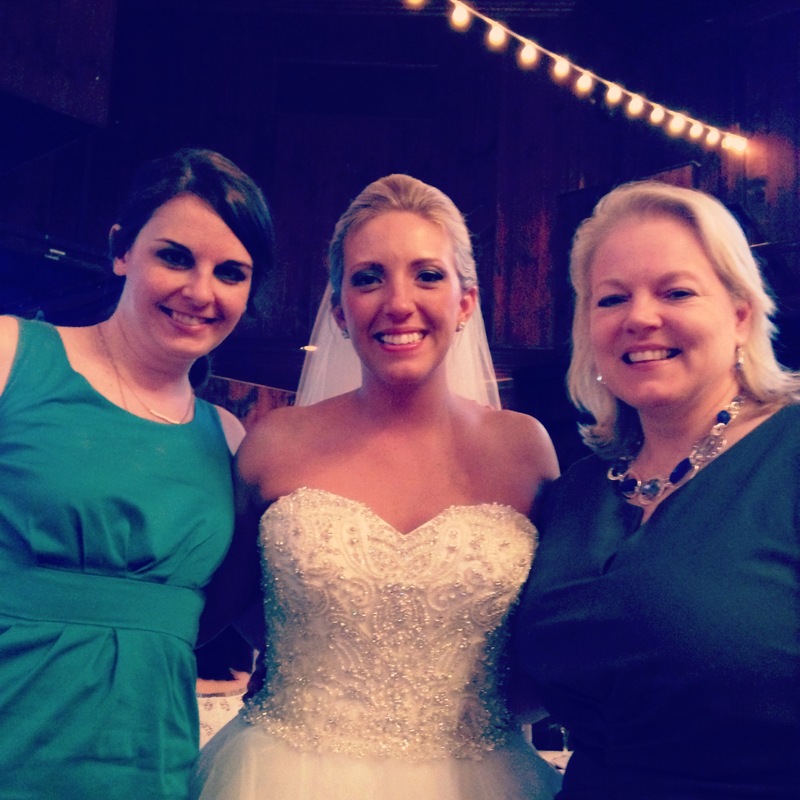 Congratulations, Mrs. Silva! What a beautiful wedding for a beautiful couple! Students have been studying the solar system for a couple weeks now. Our investigations have been more of simulations since we can’t actually use any materials from outer space. 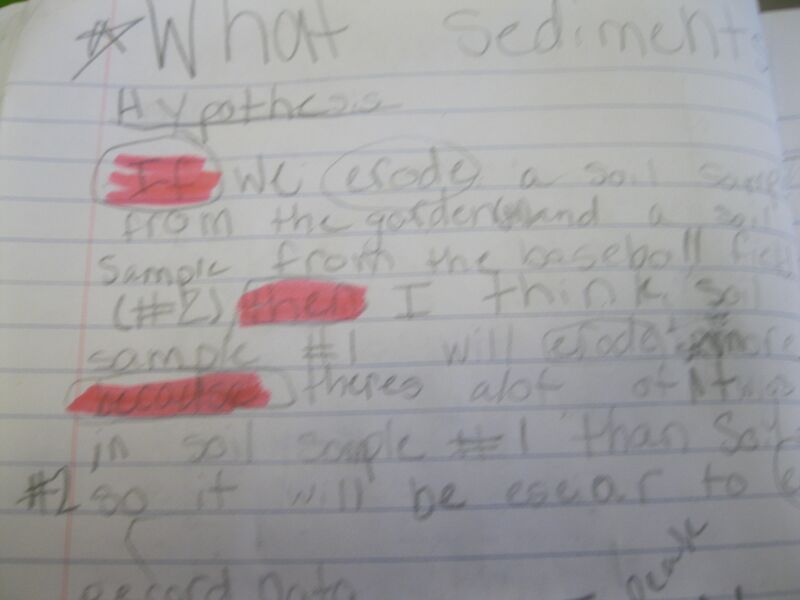 However, this week they were able to investigate one attribute of Earth with the question “What happens to a shadow of an object over time?” Most students had some background knowledge, so they wrote some impressive hypotheses. 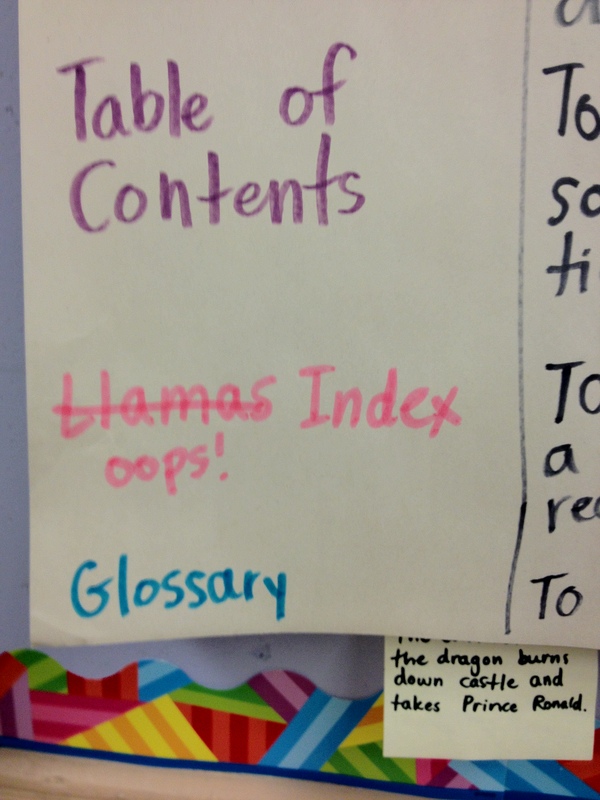 Together, we developed a chart they used to record data. They decided they needed to track the following variables: time, length of shadow, distance the shadow traveled, scientific illustration, and observations. Here they are recording data when we first set up the investigation. You can see the shadow marked with stones in the foreground. When we returned after only thirty minutes, we saw that the shadow had already moved several inches. Do you see the new shadow? 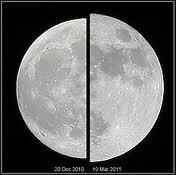 Using your scientific background knowledge and critical thinking, why do YOU think the shadow is in a new spot? HBB has decided the 2014 lip dub will be “Happy” by Pharrell Williams. I hope 5V and 5L enjoy it as much as August does! Notice the spike in December? That would be the two weeks before winter break. We’re not surprised by the increase in THINK sheets those two weeks since students are often a bit more squirrelly before the holidays. More importantly, I hope you notice the downward trend: going from a maximum of 26 THINK sheets in mid-October to a minimum of 2 THINK sheets in mid-January. On a scale of 1 to 4, how much MORE organized do you feel now as compared to the beginning of the year? 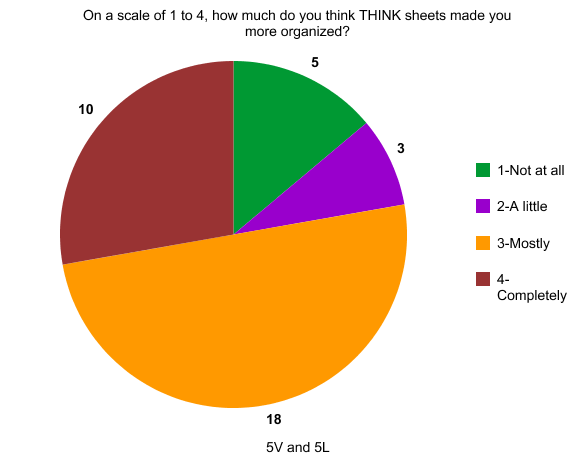 On a scale of 1 to 4, how much do you think THINK sheets helped you be more organized? On a scale of 1 to 4, how much MORE responsible do you feel now as compared to the beginning of the year? On a scale of 1 to 4, how much do you think THINK sheets helped you be more responsible? 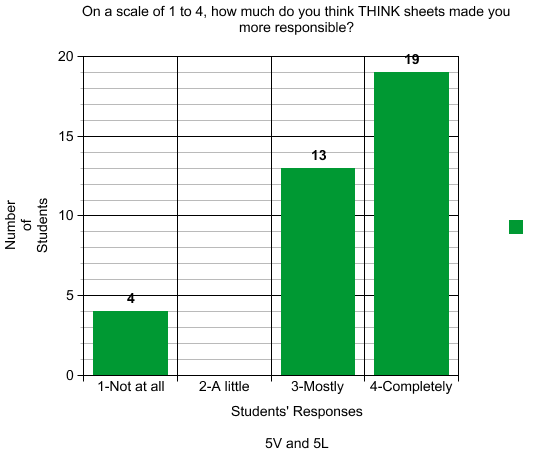 While I know THINK sheets have been unpopular this year as they are a new system in fifth grade, I am astonished by these results. Students are THINKING about what they need to do in order to be prepared for my class and beyond. My number one goal this year is getting these fifth graders ready for middle school, and I think that THINK sheets are a huge help for students. Any kind comments or concerns are most welcome: msvigna@gmail.com. 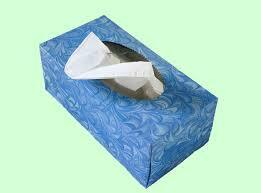 Any tissue box donations would be greatly appreciated! Go to the enVision login page. There is a link to enVision on the sidebar of the class website. Type in username and password (if they don’t remember, check the inside front cover of Math Notebook). To find videos, click on “Explore” towards the top of the page, which should take them to a page listing all of the topics. Click on the topic you want to explore. On the next page, you should see a list of the lessons in each topic. Click on the lesson you want to review. Click “View” to watch the video. To find assignments, click on the “To Do” icon in the Peacock box. You should see the assignment listed on the next page. Double-click on it to begin. When you are done, click on “Stop Test” at the top. A window will pop up asking if you want to save, click “Save”. One general tip I have is for students to click on the icon that looks like a projector. After that, new icons will pop up on the left or right side of the screen. Click on the icon of a wrench and select “page spread”. This function allows you to see two pages at once instead of one small part of one page. Soon, students will become experts on navigating the site based on demonstrations and practice in class.Until then, explore away! There are resources there that even I haven’t uncovered yet, so if you find something snazzy, let me know! 5V is joining the Ninth Watch! Maybe we’ll be in the Guiness Book of World Records! Students in 5V have been learning about why Europeans started exploring to the west. Marco Polo’s return from a 20 year journey to Asia, the Renaissance, Prince Henry of Portugal’s sailing school, and a war in Turkey that shut down Constantinople all helped encourage Europeans to try getting to Asia by sailing west. 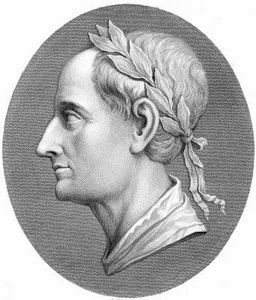 It was the last factor, the closing of Constantinople, that inspired this post. Enjoy They Might Be Giants! I need a new name for the class newsletter. “5V” is just lame. When I taught second grade, I used “2V or not 2V”. I want something snazzy like that but for fifth grade. 🙂 I’ll give a sticker AND a ticket to the student with the winning name. Hello, 5V! Today is our first Tuesday together, so there are a couple new routines. 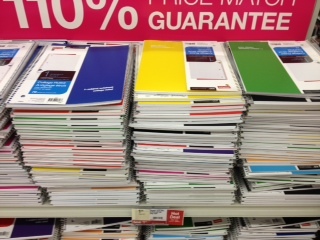 Every Tuesday, students will take home their Tuesday Folders. Inside, you will find flyers and notices for school and classroom activities. You will also see my weekly newsletter with announcements from Mr. Thompson and Mr. Gobeil. Read it! 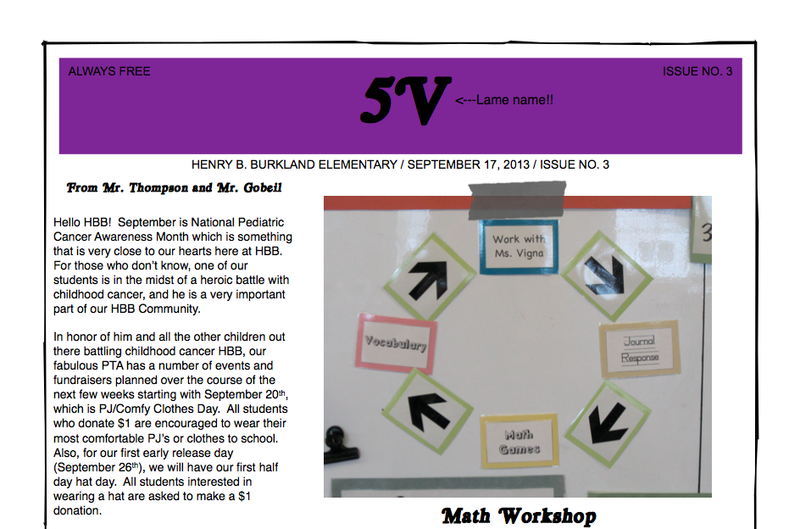 Today I made a copy of the newsletter for each student, but starting next week, it will ONLY be available online. If you’d prefer a hard copy, please let me know. You can let me know your preference on your fifth grader’s new Tuesday Folder signature sheet. These sheets let you know of any late or missing assignments from the previous week as well as any communication from me or Miss Adams. If you have any questions, comments, or concerns, feel free to share them in the space. All of these routines are in place to increase communication and organization. Happy Tuesday! Miss Adams and I are SO excited to meet all of you and start a wonderful year together! See you tomorrow! 2V students know this is the biggest project of the year! They are so excited to share their hard work with you! 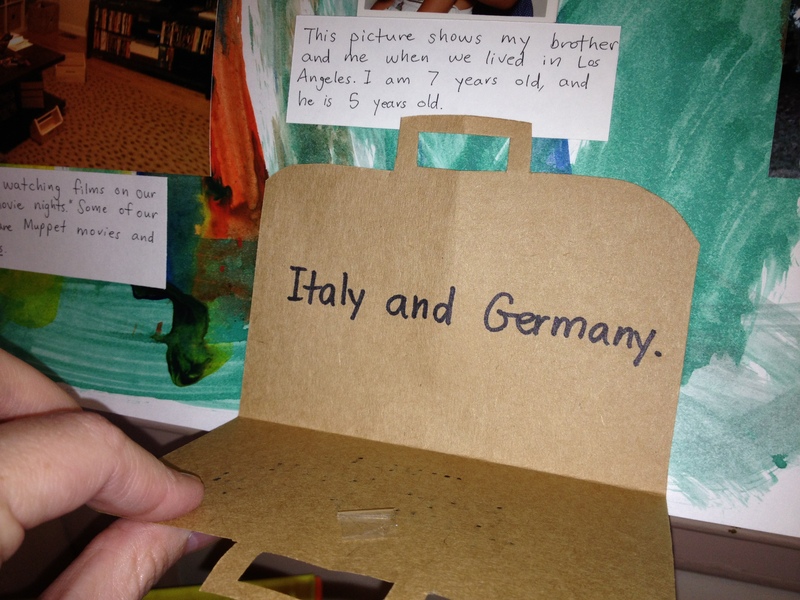 Last week, a student submitted a suggestion to 2V’s “Compliments and Concerns” box. This student suggested that we introduce a new activity for Morning Meeting: show and tell. 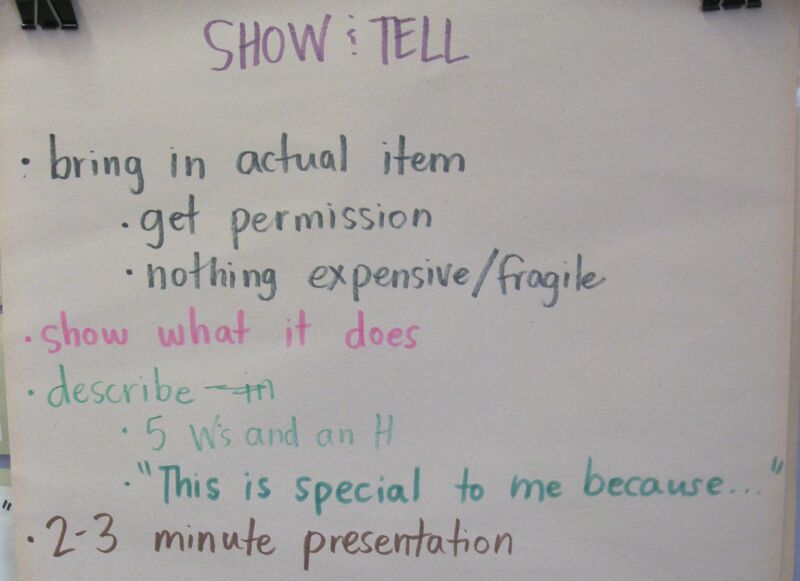 So today, I modeled what show and tell should look like in 2V. We created this chart with guidelines. We agreed that we’ll just go in number order to keep it fair and that students may pass if they wish. Let me know if you have any kind “compliments or concerns”. 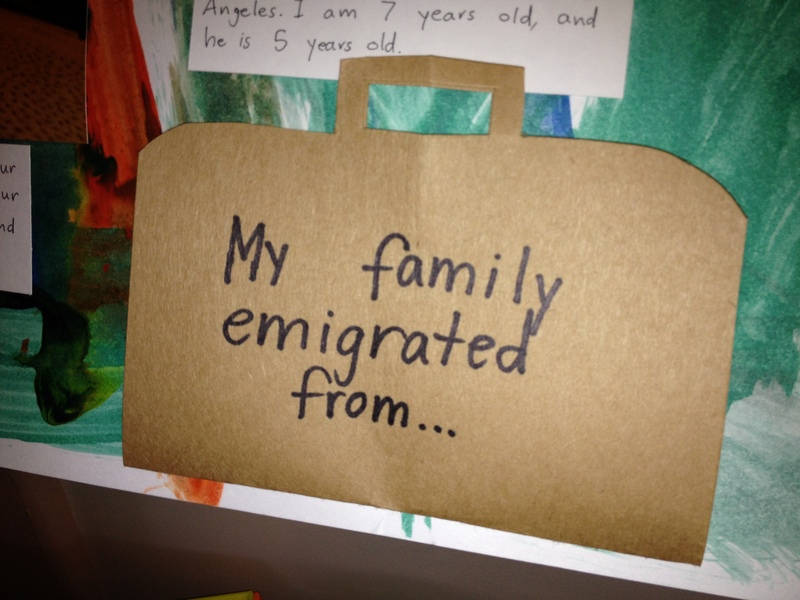 May 14, 2013 – A student blog post! Our new morning meeting song for trimester 3 is “Seasons of Love” from the musical, Rent. 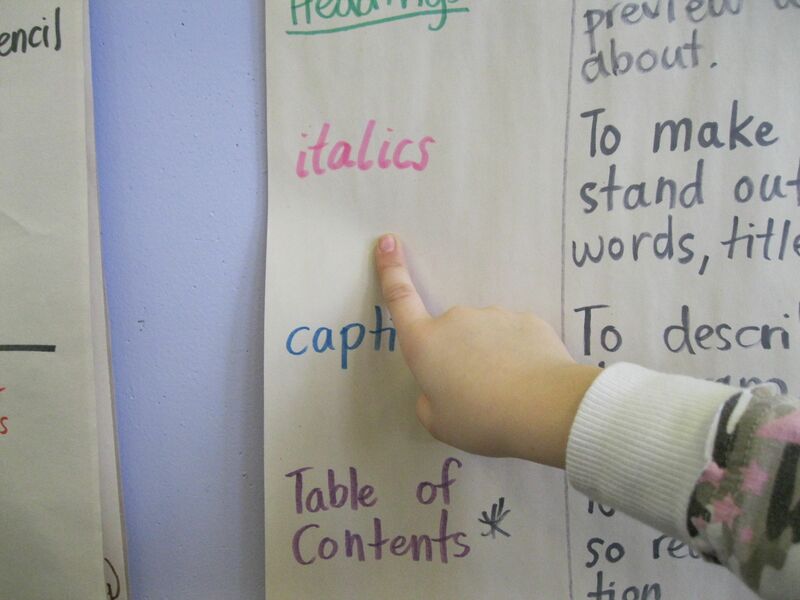 The PATHS Kid of the Day gets to point to the words while class is singing the song. The song is about measuring a year in different ways. There are 525,600 minutes in a year. These are all the reasons I love this song. Where in the world is 2V going? 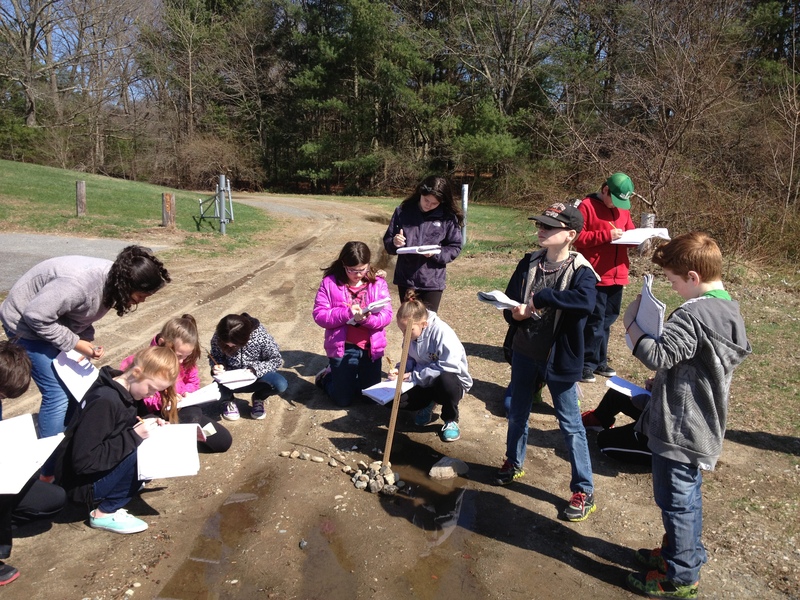 April 22, 2013 – A student blog post! The penny is worth one cent. The nickel is worth five cents. If you add both together, it will add up to 6 cents. The dime is worth ten cents. The quarter is worth twenty-five cents. If you add both of those together, it will add up to 35 cents. The dollar bill is worth 1 dollar. If you add all of these coins and bills up, the sum will be $1.41. These lessons taught me how to count my money in my piggy bank. 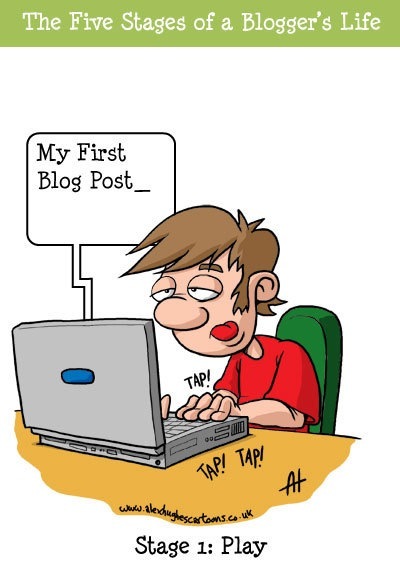 April 8, 2013 – A student blog post! 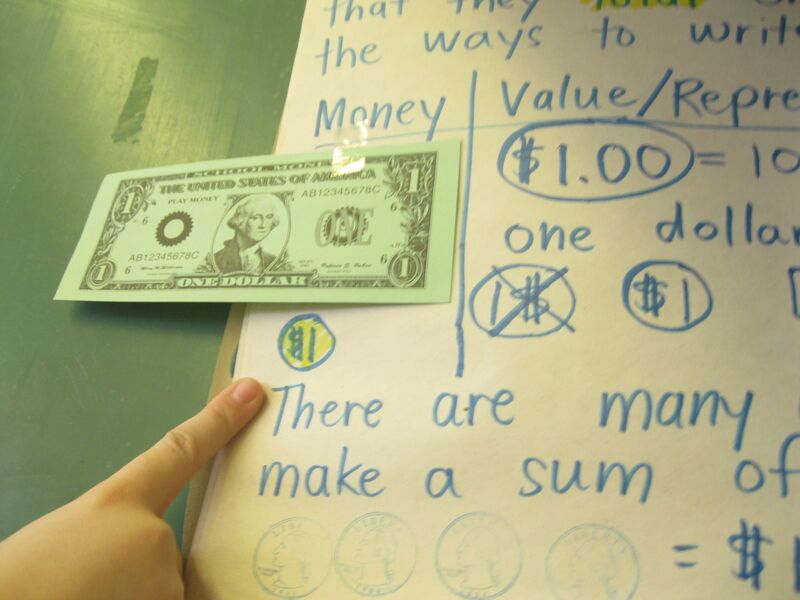 Recently, we learned different ways to make a dollar. 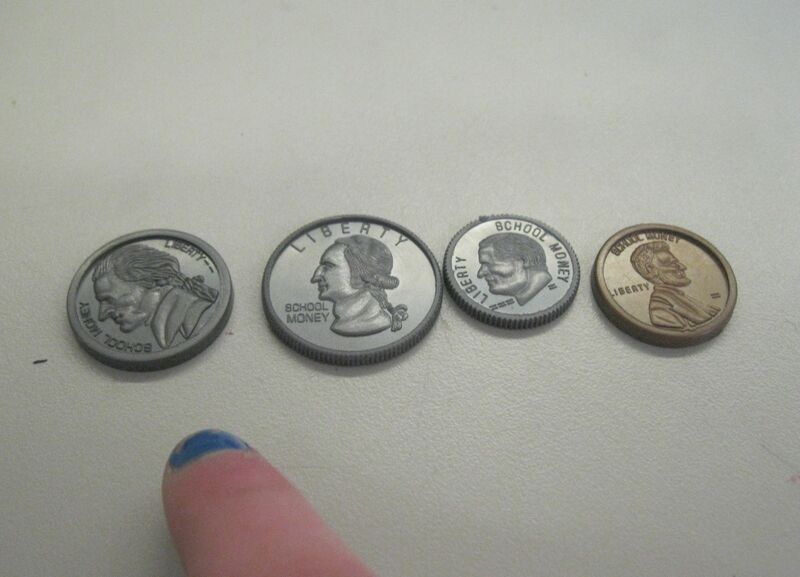 There are many coins to make a dollar like a quarter, a nickel, dime, and penny. We acted out the money by drawing a visual representation. You can also use the standard algorithm to add up the sum. 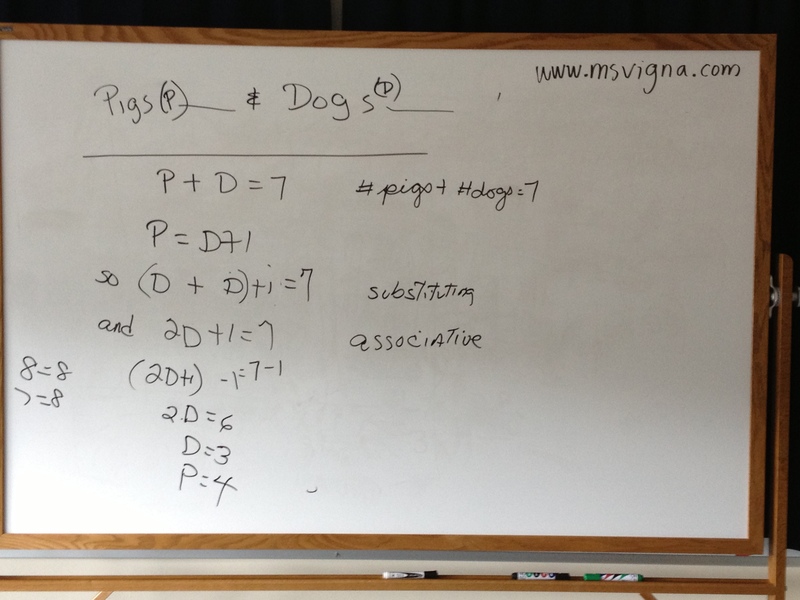 The lesson taught me how to use the standard algorithm with money. 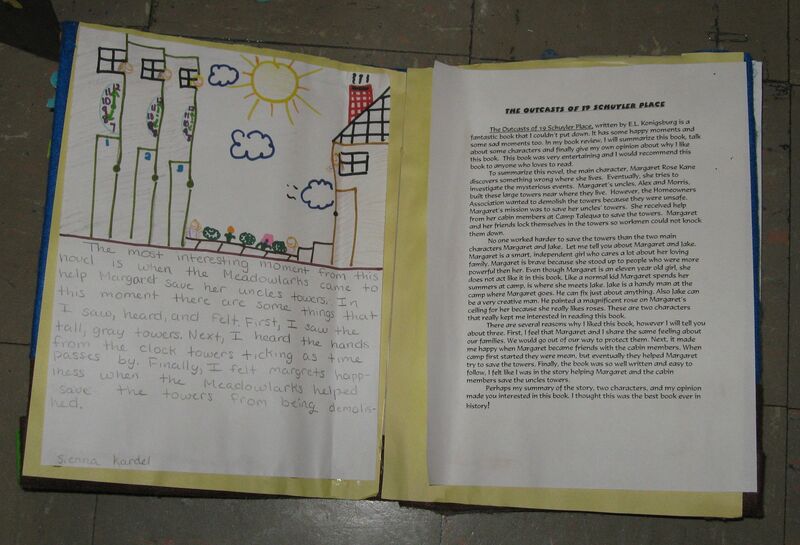 March 22, 2013 – A student blog post! Never get a THINK sheet. THINK sheets don’t mean that you did something really bad but they’re almost like a reminder. 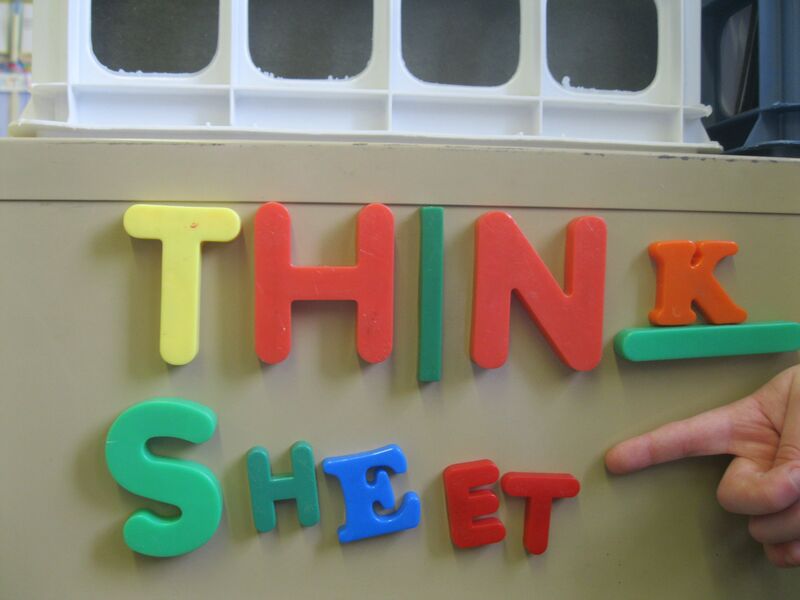 Things that could get you a THINK sheet are: not working, fooling around, or disturbing class. The THINK consequences are: T-warning, H-5 minutes of recess, I-15 minutes of recess, N-in class time out, and K-meeting with the principal. A couple ways you can avoid THINK sheets are remember lunch count and not disturbing class. The kids that don’t get THINK sheets are the people who get stickers a lot. I think that THINK sheets are a warning or reminder. All I ever got was a T or an H and I’m glad about that. March 17, 2013 – A student blog post! 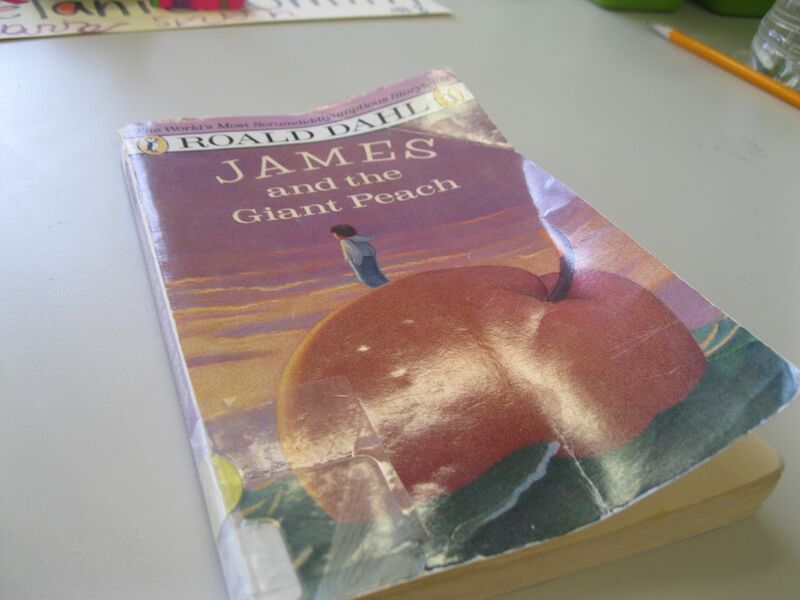 James and the Giant Peach is an amazing book. There’s magic in the story like the little green things that made the peach grow. I love magic. The giant peach went rolling and hit the water. Cloud men threw hailstones at them. I love the book and can’t wait to finish it! 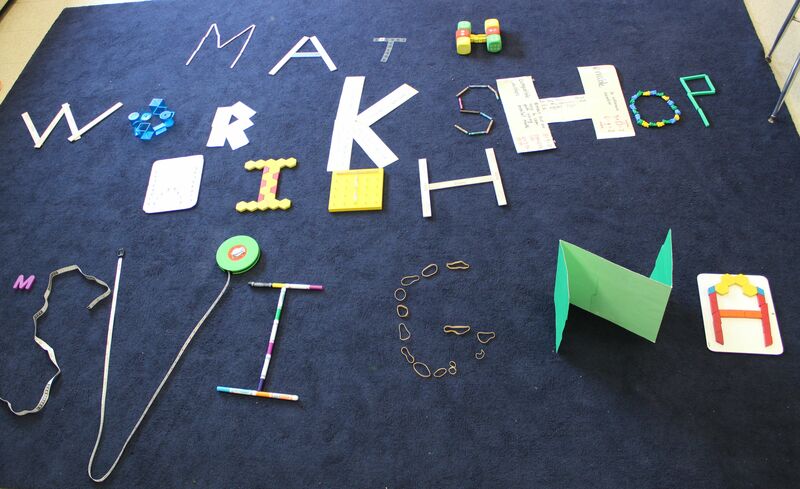 March 11, 2013 – A student blog post! Learning science is important. One reason it is important is that learning science makes your brain strong and not like a marshmallow. Another reason is that science is fun because I like to investigate. The last reason is that if you learn science you’ll be smart enough to be a teacher when you grow up. Out of all the reasons science is important, my favorite is how much I love it! March 5, 2013 – A student blog post! Our African-American project is very important. One part of our African-American project is that everybody has their own African-American to study. Another part of our project is that students have dazzling ideas from all of their research. 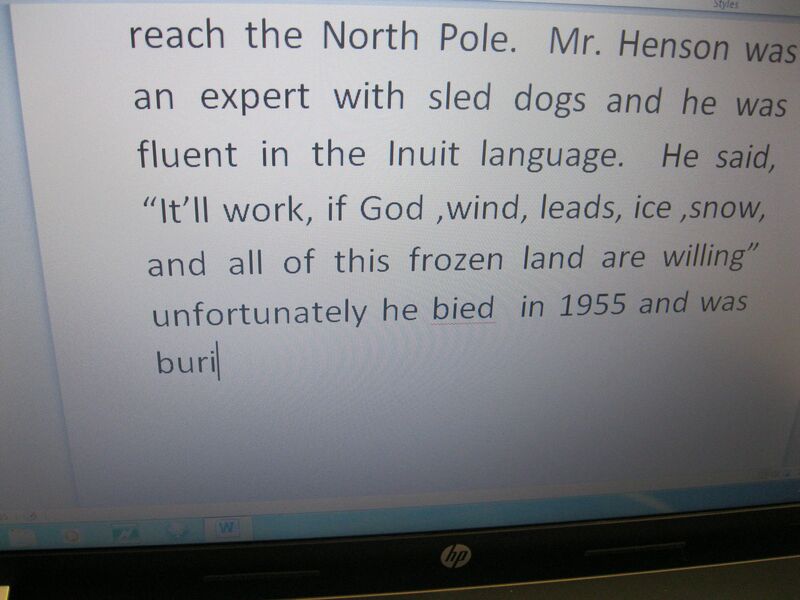 The last part of our project is we read one or two on the Morning Announcements. Out of all the projects, I think this one was the best! 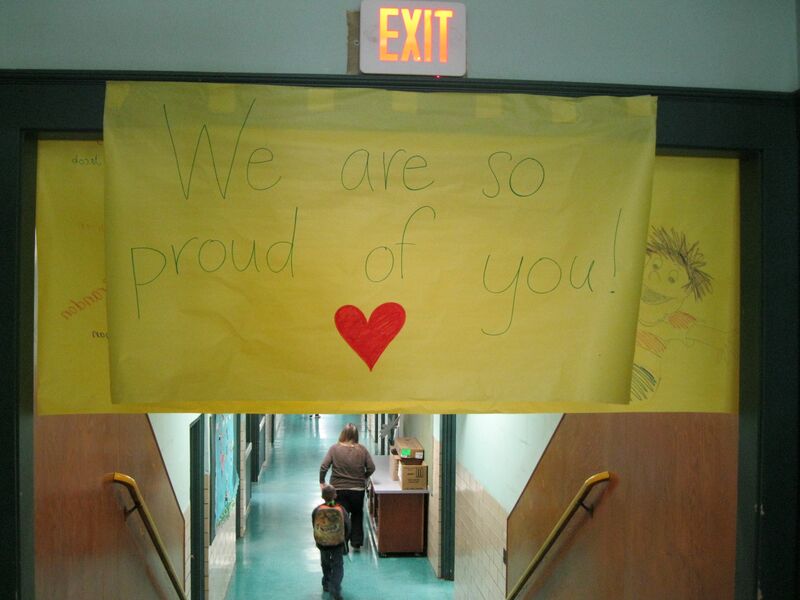 February 25, 2013 – A student blog post! Using nonfiction features is awesome. Nonfiction is great because sometimes you don’t have background knowledge about anything, so you can learn facts in a book. When I grow up I want to use nonfiction features in the books I write because I love writing and I love nonfiction features. 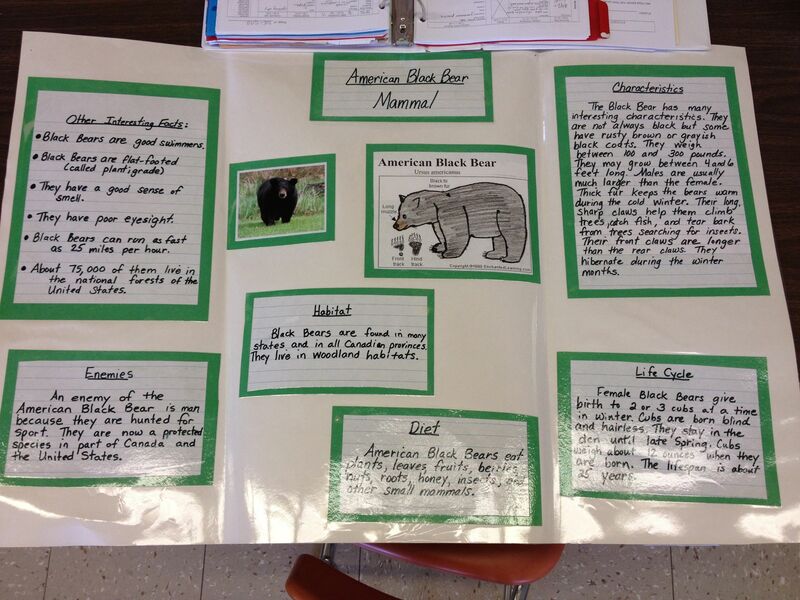 Having nonfiction features is especially spectacular because they help facts tell you most about the topic. Features are nice to have because they help you learn. 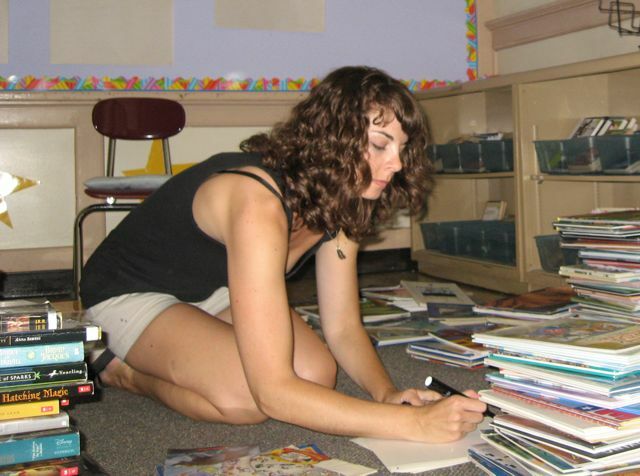 February 13, 2013 – A student blog post! Maps are really fun to study. I enjoy learning about cutaways. I like to learn about Mt. Everest. 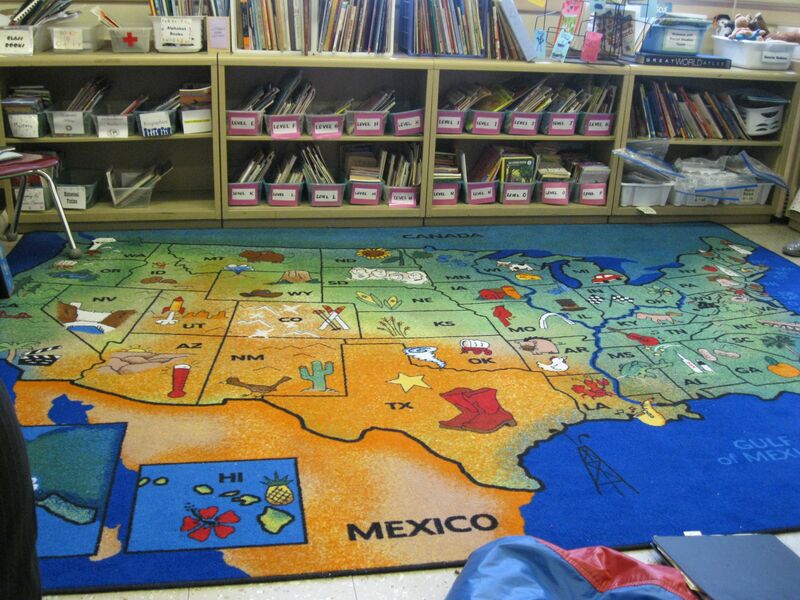 When we read The Scrambled States of America, we got a map and we put a check on the states we heard. It was really fun. Learning about maps is really great. Try it! You know those pesky socks that lose their partners in the wash? 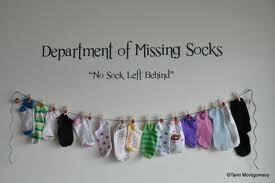 If you have any CLEAN, lonely socks that you have no hope of reuniting, kindly send them to 2V. We use them as our math whiteboard erasers, and we are running low. Thanks bunches! February 4, 2013 – A student blog post! 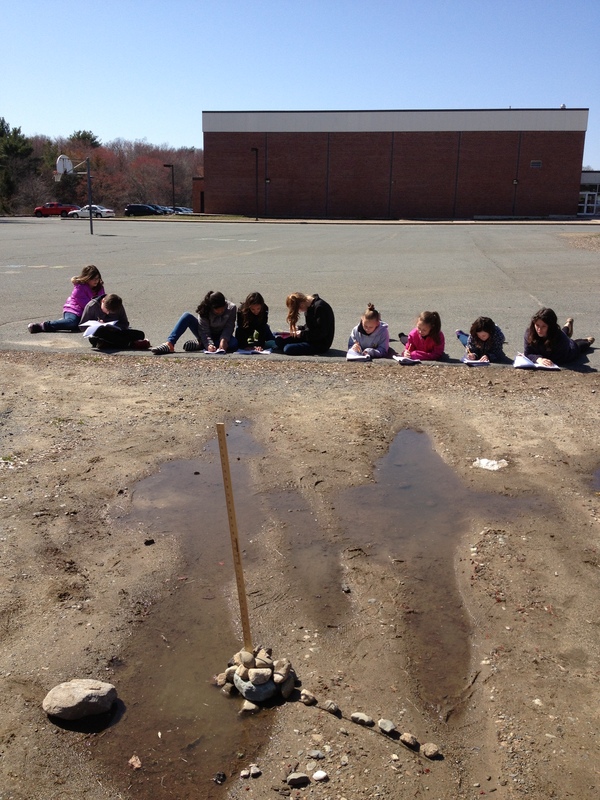 Landforms are a fantastic part of science. One thing about landforms is that some are different than others. For example, a plain is way different than a mountain range because a plain is flat ground and a mountain range is all bumpy. 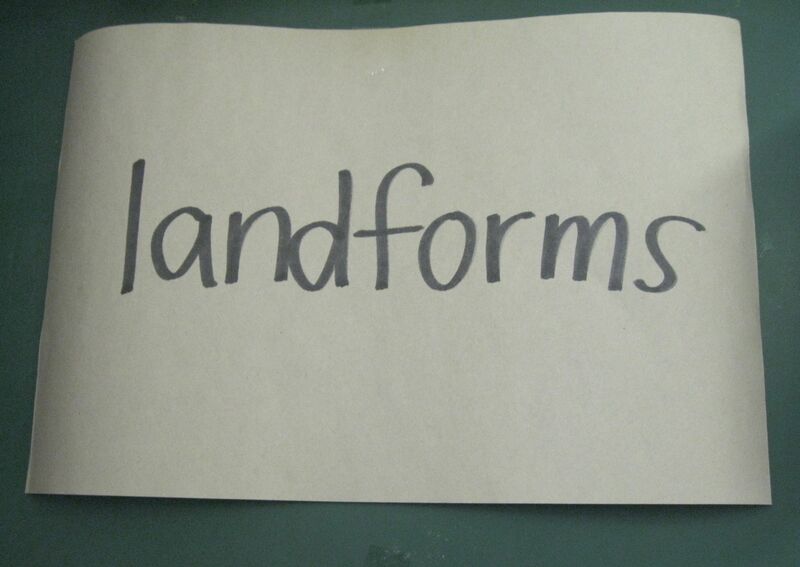 Another thing about landforms is that most of them are not flat such as mountain ranges, peninsula, and canyon. Now you can see that landforms are not just any kind of land. They are bumpy and sharp. 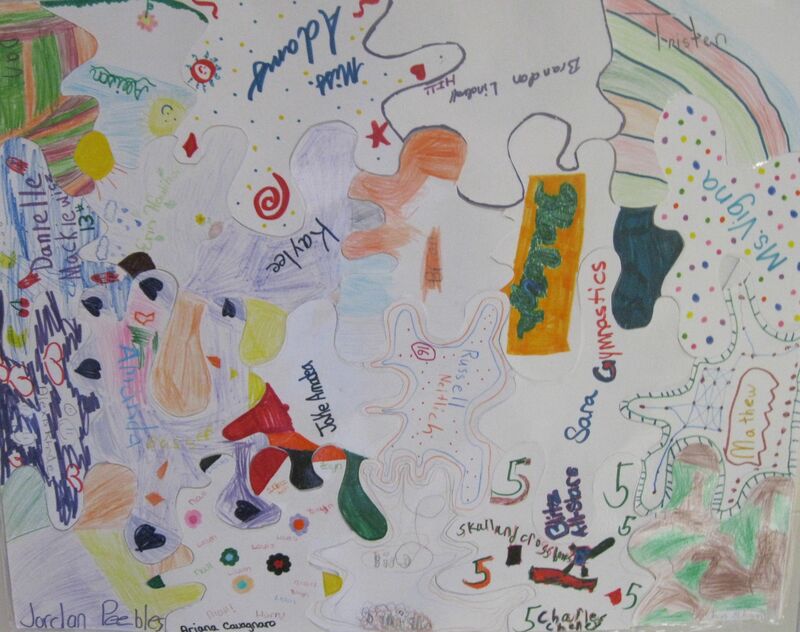 January 29, 2013 – A student blog post! 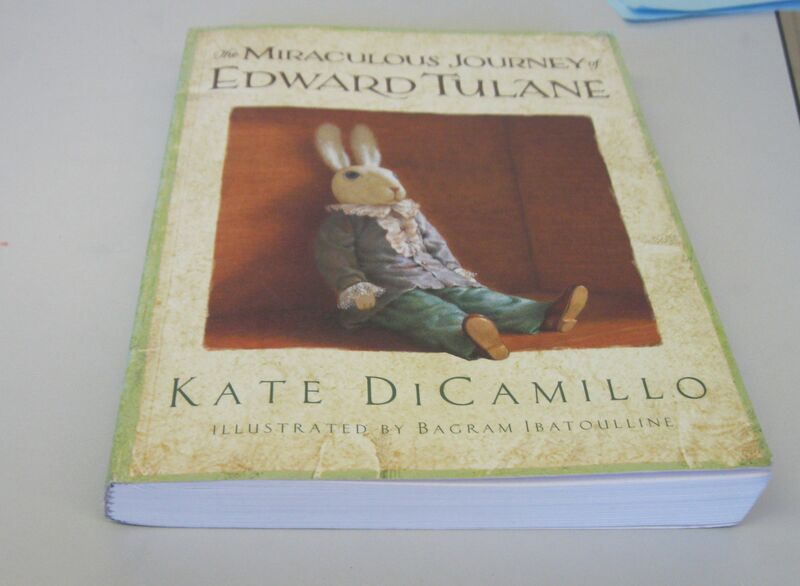 The Miraculous Journey of Edward Tulane is an amazing book! In the beginning, Edward went on a long adventure under water for years. 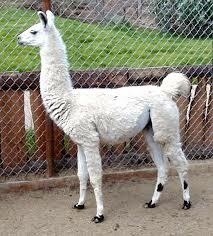 In the book, Edward got a new owner named Lawrence and Nelly. One day, Lolly came and put Edward in the rubbish. Then, a boy named Brice found Edward and gave him to his sister, Sarah Ruth. 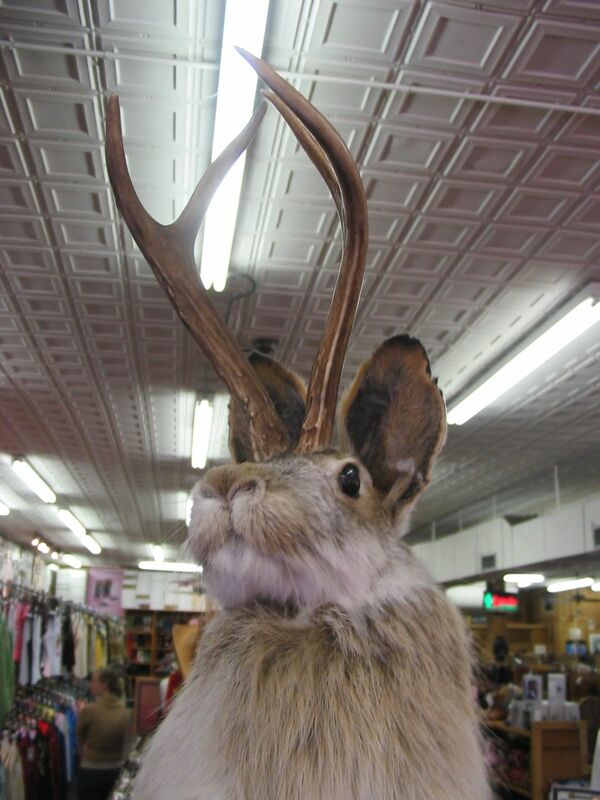 The book The Miraculous Journey of Edward Tulane has a fantastic plot because he goes on a lot of adventures! 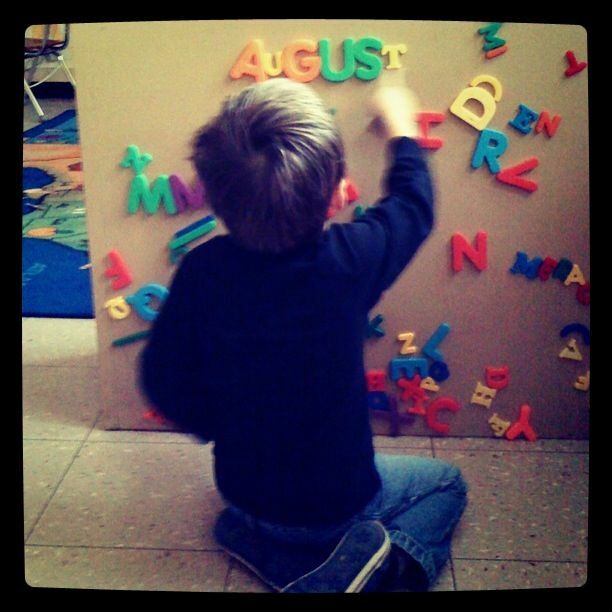 January 23, 2013 – A student blog post! Standard algorithm is hard for some kids. Standard algorithm is really hard for some kids because that’s the way some people learned math. So kids don’t really know what to do with standard algorithm. Also kids get stumped on place value and regrouping. The last thing about standard algorithm is they might start in the tens’ place and you’re supposed to start in the ones’ place. Now you can see how hard standard algorithm is for some kids. Starting this week, most of these home page entries will be written by STUDENTS!! Since we’ve been working on summarizing in writing and determining important information in reading, it seemed like the perfect opportunity to introduce “blogger” as a new literacy work station. 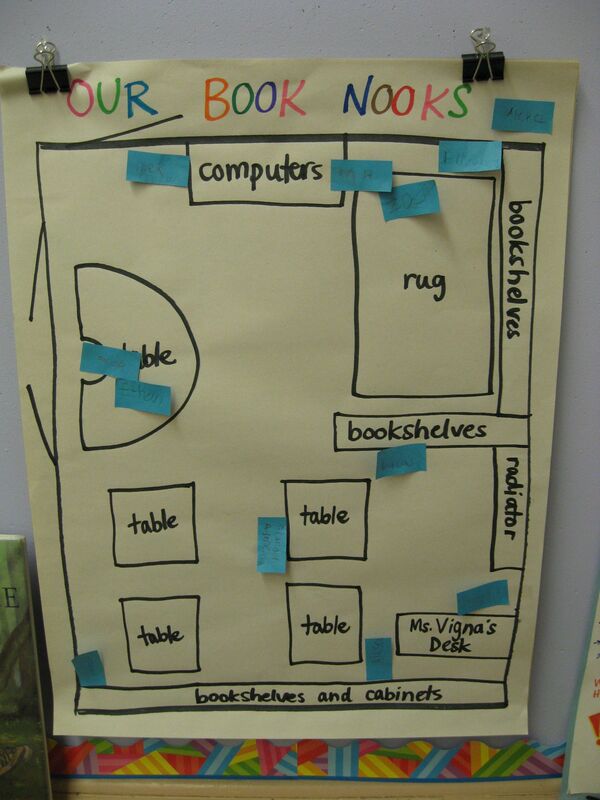 When students are assigned this station, they will hold the position for a WEEK while they choose their topic, which can be anything that they’re learning in 2V. Then, they will spend their daily literacy work station time pre-writing with a taxonomy, drafting with a four square, revising based on my daily comments of their progress, and typing their final drafts on our school’s new set of laptops. They will even use my classroom camera to take a photo they’d like to accompany their text. This new station will not only reinforce skills and strategies we’ve been studying in class, but it will also provide an authentic platform for students to publish their work. I can’t wait to see what they all create! Be merry, 2V! See you in the New Year! This week, students have been preparing their portfolios of their best work and work that needs improvement from Trimester 1. They will be presenting these to their families at Parent-STUDENT-Teacher Conferences next week. 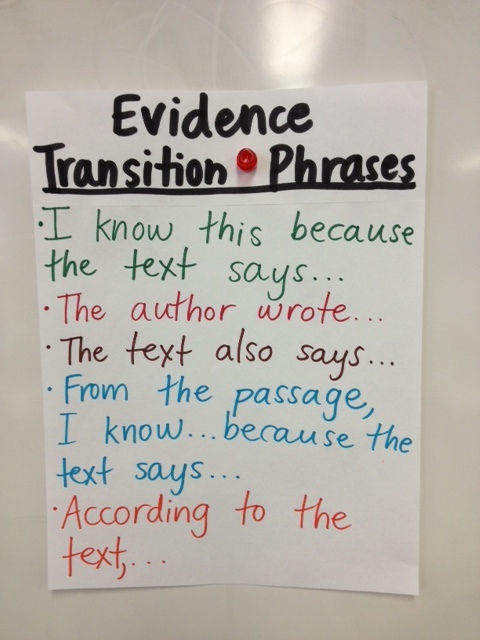 In addition to selecting evidence, they have been reflecting on their learning over the past twelve weeks. 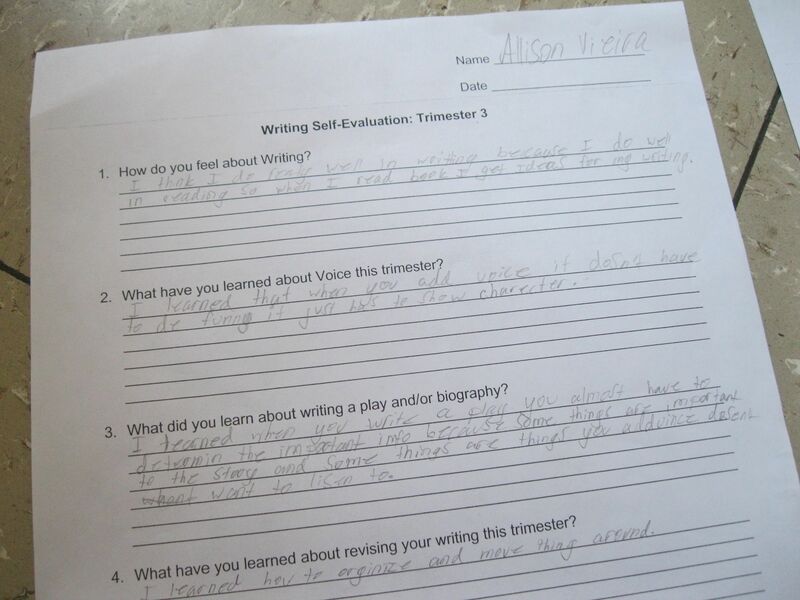 Each subject has a self-evaluation to complete. As a class, we brainstormed possible responses to the questions and also rephrased the questions by finding key words from the question. I have decided to post the pictures of these cheat sheet charts to help students finish up their self-evaluations at home before conferences. Please note that I have given students several hours to work on these sheets at home. I would recommend having your second grader work on 2-3 questions per night. 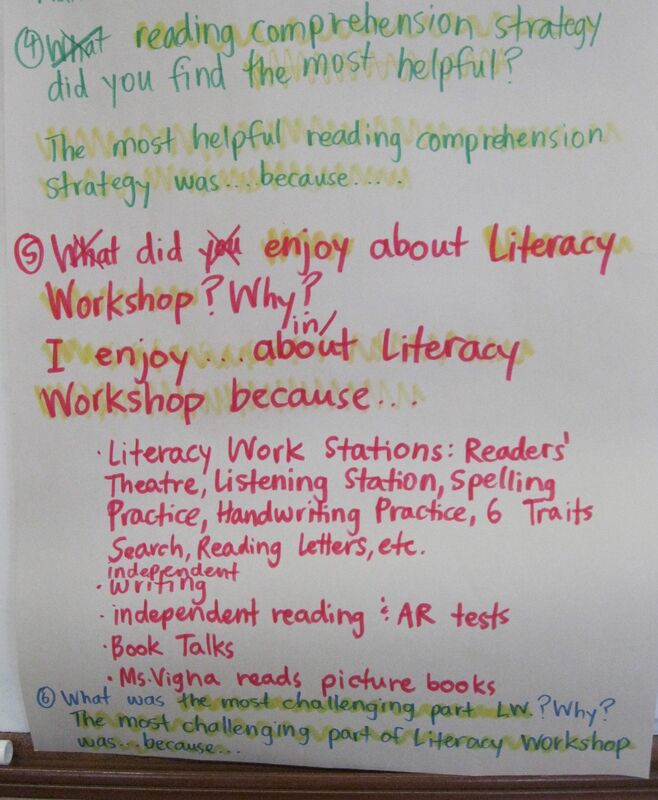 Also, the highlighted sections on the chart are the sample responses students CAN use to start their answers to the self-evaluation questions. A new trimester means a new Morning Meeting song. We’ve retired “Good Mornin'” from Singin’ in the Rain, but I’m continuing my students’ musical theatre education (Ms.Vigna = theatre nerd!) with “On the Right Track” from Pippin. Enjoy! On December 13th, 2V families will be meeting with your second grader and me, so that s/he can present to us their learning during Trimester 1. 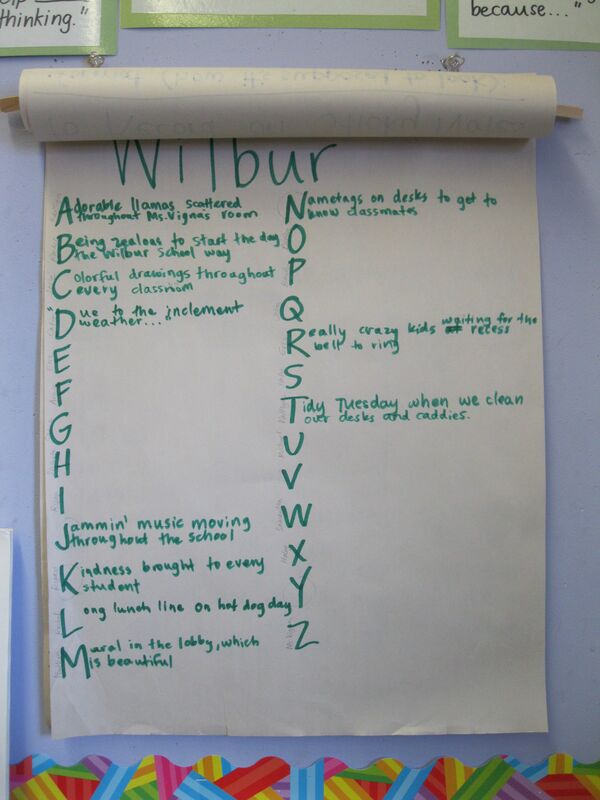 Having students at Parent-STUDENT-Teacher conferences is an effort I piloted for Wilbur way back in 2006. After years of watching students become active participants in their learning, reflect on their strengths and areas that need improvement, and set goals for themselves have been a powerful experience for them and a humbling process for me to observe and guide. I will never do conferences another way. Below, I’m going to start gathering a few resources to help explain why your second grader will be leading his/her conference and even my goal for where I want to take conferences in the as-soon-as-possible future. Please let me know if you have any questions or concerns about the process! 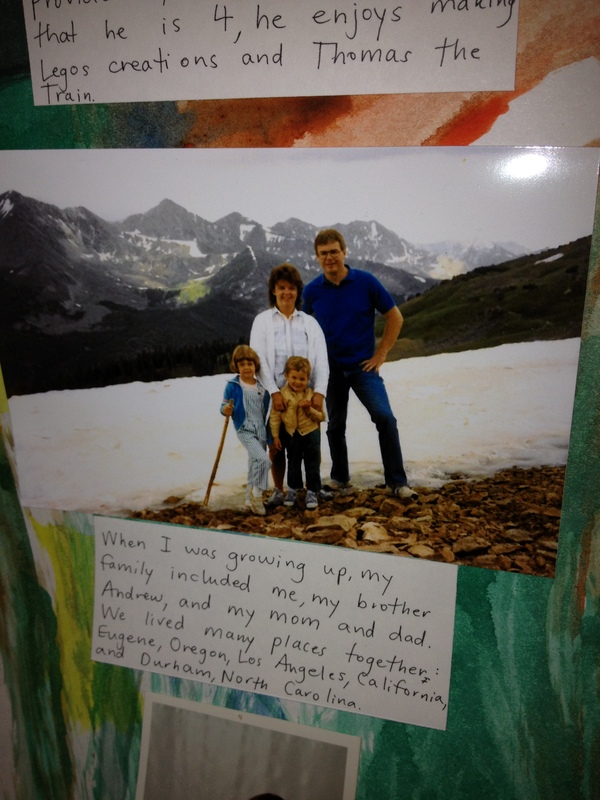 Here is a close-up of one of my pictures and captions. Captions should be COMPLETE sentences! Please let me know if you need ANY supplies by Monday, November 5th, so that your second grader has time to finish by the due date of Wednesday, November 7th. No, this isn’t a picture of a recent 2V snack. It’s a science investigation! 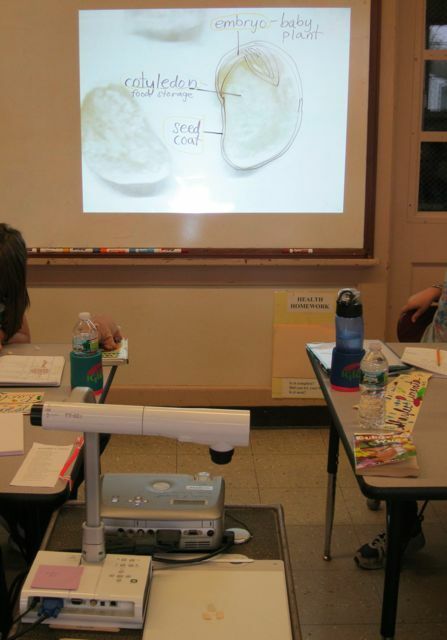 Last week, students observed the properties of liquids. Their liquid samples included seltzer, corn syrup, and ketchup, and they were asked to test each by stirring and pouring. 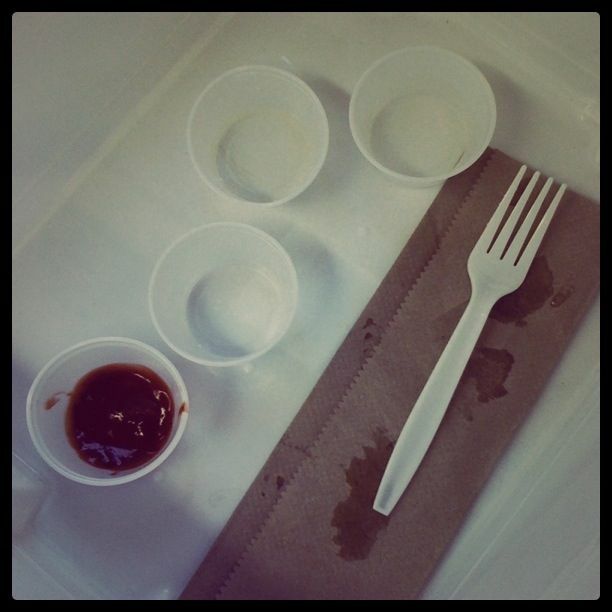 Students were shocked at how long it took to pour the ketchup and still classify it as a liquid. Next week, we’ll be observing gases. 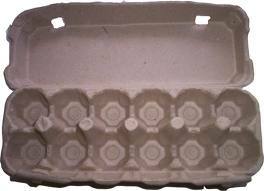 2V is looking for empty egg cartons for some upcoming Math Workshop stations. Send them to school instead of recycling them. Thank you!! I owe my four year-old son credit for introducing this song to me. I’ve heard it. A lot. Enjoy! It’s First Day of School Eve! Second grade is right around the corner! Before we kick off our year together, here’s a cute owl video to get you excited for 2V!! See y’all tomorrow!! Before everyone forgets everything we did at the end of the year, I wanted to do a cyber Book Talk for The White Mountains. This amazing science fiction novel by John Christopher has all the adventure of Hatchet and heart of The Invention of Hugo Cabret. If there’s one homework assignment I WISH I could give my former fifth graders it would be to finish this trilogy this summer! We are finally presenting our film, “Theseus”, tomorrow! 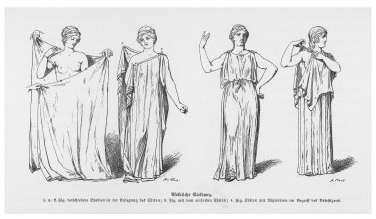 Wear a toga (ask permission to “wear” a sheet to school first!) and laurel. Be resourceful and creative! I am super excited about 5V’s new project! We’re adapting the Greek myth of Theseus into a play that we’ll perform with music students are composing with Mr. Cox in music! This week, students identified the main ideas in this traditional literature text (based on the version in this anthology–one of my all-time favorite books! Buy it!) and decided which events to cut or rearrange. 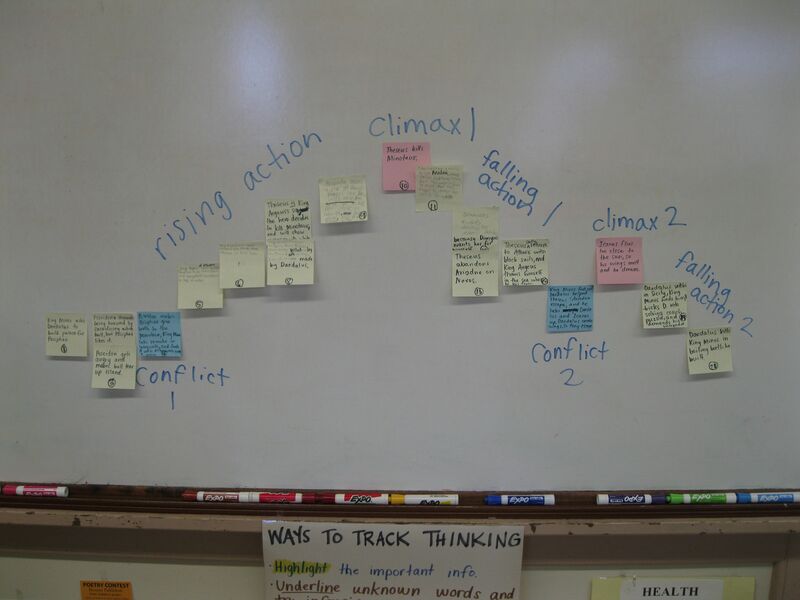 Today, we created an outline for our story that will help students focus their ideas for dialogue in each scene. The Six Trait that we are concentrating on with this project is VOICE, so don’t be surprised if some of the Greek gods and heroes have a little more attitude than you’d expect! The fifth graders have started a new project in math called the Survey Project. We have already started it by creating a question that we will ask all the fifth graders in Wilbur and drafting our graphs. The next step is to create our final draft. Brian Selznick, author of The Invention of Hugo Cabret, went to RISD in Providence! Read a short article about him here. In our new unit in science, we are learning about animal adaptations. For our first experiment, we had a piece of newspaper and lots of newspaper and black moths. We spread the moths out, spun around one time, and then picked up the first moth we saw. We kept on doing that until the timer went off. We recorded how many black moths and newspaper moths we collected in our Science Notebook. We did this experiment because we wanted to see if we would pick up more moths of a certain color. I’ve gotten a few questions about the cereal box book covers for our MCBA project, so I’m posting an example from a past fifth grader. Try to use the biggest cereal box you can find. That way, your book review, visualization and study questions (all of which should be on 8.5 x 11″ paper) will fit neatly. If you don’t have a cereal box, just ask me because August has donated some to our classroom! 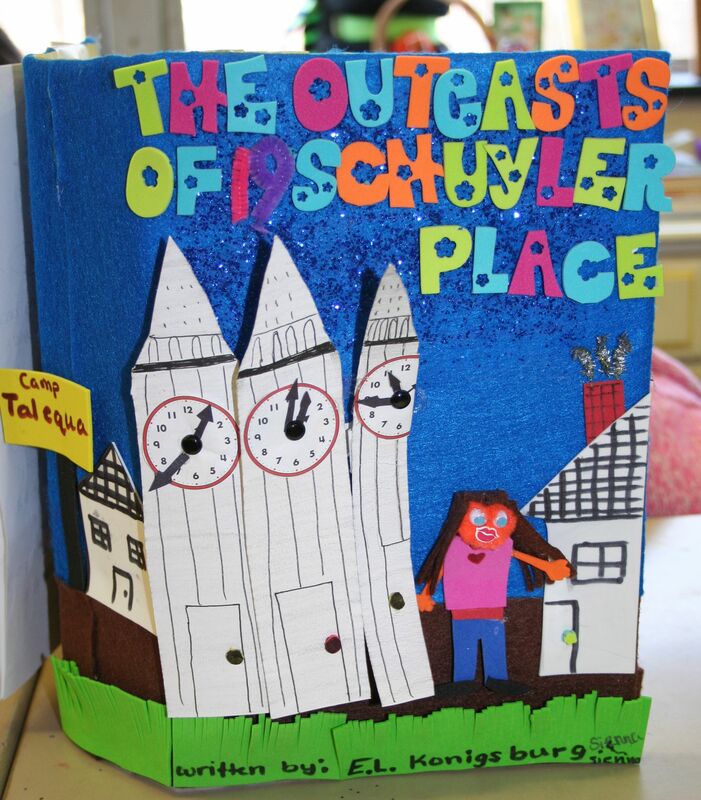 The cover should be 3-D, colorful, neat, and include the title, author and your name. The inside should have your visualization on one side and your book review (we will work on both of these items mostly in class). The back cover should have your study questions and answer key. Let me know if you have any more questions! I can’t wait to see all of your book covers! Our read aloud, The Invention of Hugo Cabret, is so exciting! 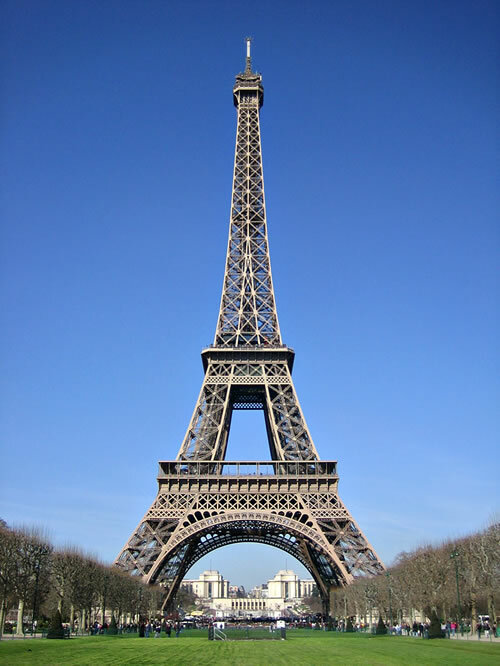 It is set in Paris in 1931, and it has referred to several silent films already. As a cinema connoisseur, I’m making it my duty to educate my young students in silent film history. Here are three of the biggest silent film stars in three of their most iconic films. Information about 5V’s first unofficial field trip will be heading your way in November!! In Writer’s Workshop, we are learning about the different types of memoirs. We are reading all kinds and finding their different characteristics and rich language. 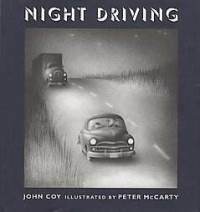 My favorite so far was Night Driving by John Coy. It was a very calm and peaceful story. We also turned the lights off to set the mood. 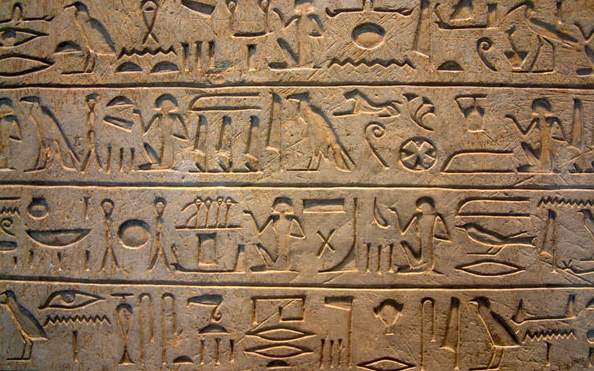 In it, there was rich language. For example, “Suddenly, I see giant peaks, sharp as bear’s teeth, that push into the sky. Look, Dad, the mountains.” It gave me such a great mental image. Before we start writing our own memoirs, we are learning and reading the other ones so we can get popping ideas for our own. Mine might be about the wave in New Jersey that almost drowned me. It was an undertow pulling me and spinning me under water. I can’t wait to get other ideas and start writing my own memoir. I am already inspired and we’ve only read about three memoirs all together and a few more on our own. I can’t wait to write and share all of our great times and adventures about each of us. It is going to be a thrilling writing project for all of us!!! Today in Science, we got seeds and cut them open. 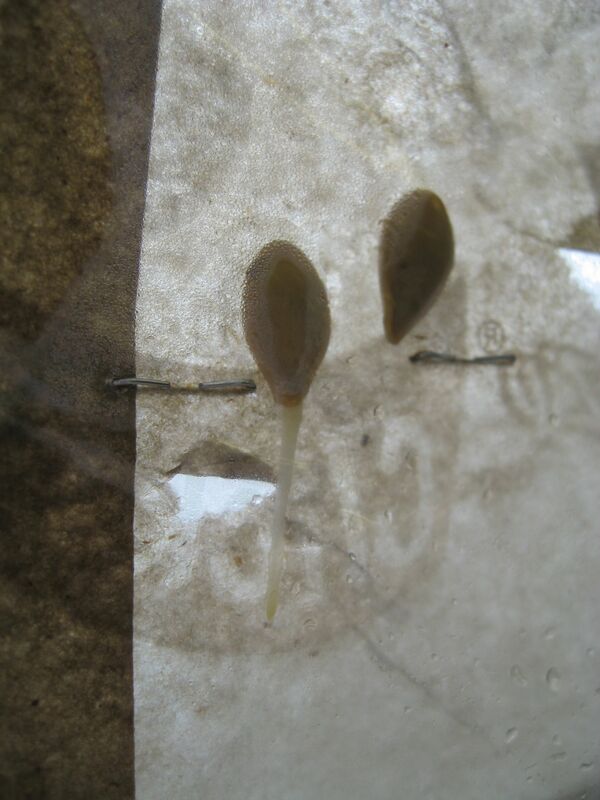 When we were trying to get them open, some of the seeds’ skins came off. We learned it was called its seed coat. Once it was finally open, we saw it had a weird thing that looked liked it had a bud. Our teacher said it was called the embryo. She said it was the start of a plant. Then one of my classmates asked, “How does it grow?” Ms. Vigna replied that the middle part was the seed’s food, and it was called cotyledon. We learned a lot in Science! 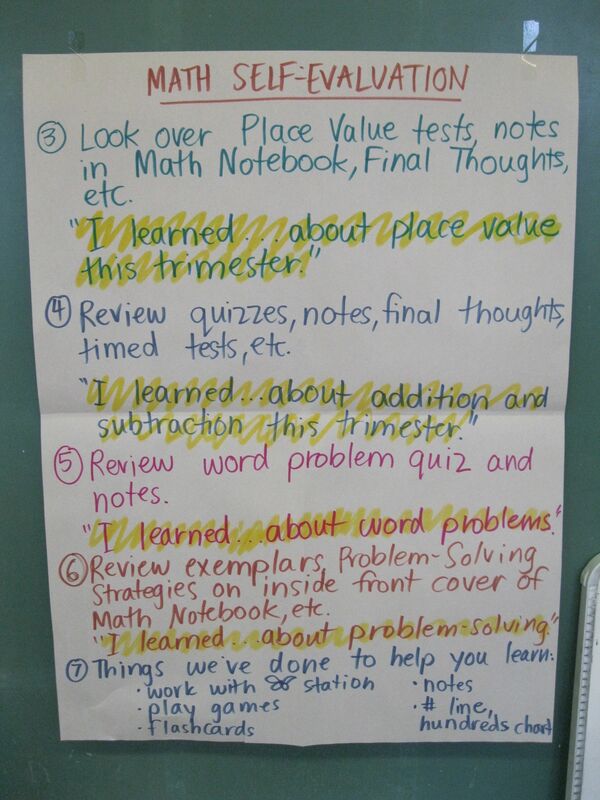 We did many things today in 5V. One of the things we learned today was how to graph our Mad Math Minute every week. 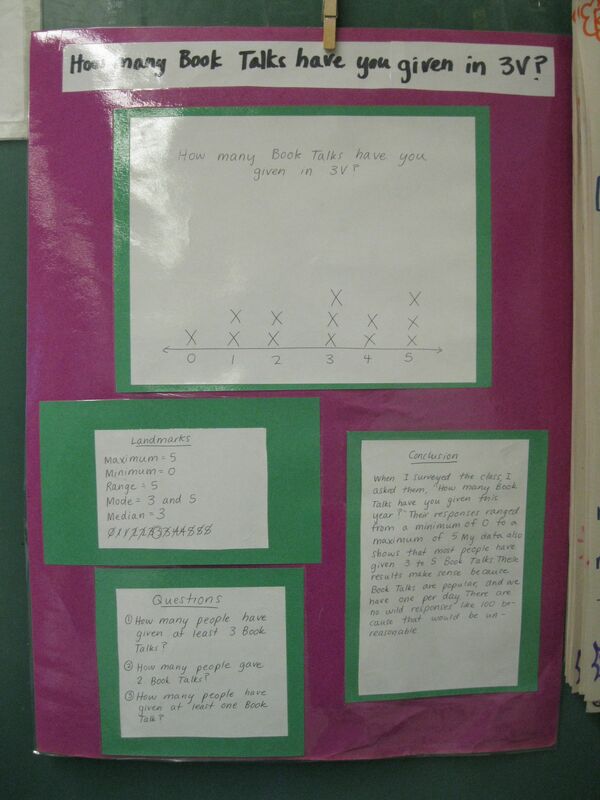 We had a 100 question multiplication math fact test which we will graph the results of every week. Also, we learned about comparing decimals. It helps to think about money. We had math stations like a decimal math game and vocabulary. We also revised our writing on our own and then with a partner and then with Ms. Vigna. That was what we learned today. In Writers’ Workshop, we got our first writing prompt about Wilbur School. We wrote a taxonomy, which is a form of pre-writing that involves making a list about the chosen topic for every letter of the alphabet. We took a tour of Wilbur (including silently entering several classrooms to observe) to find inspirational ideas that showed Wilbur’s personality. Now we’re working on making our drafts better. I can’t wait to finish this writing draft. It’s going to be a good year of Writers’ Workshop! 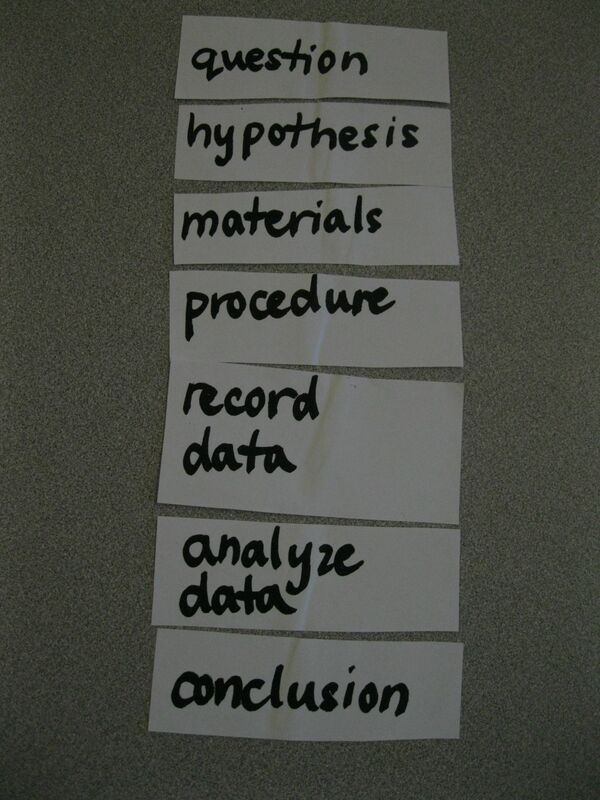 Today in science, we learned the process that scientists use to prove a theory. Well, of course you’re going to have a question to ask. You should write your thought. If you have a theory, then why don’t you learn it? HAPPY FIRST DAY OF SCHOOL! See you in class, fifth graders! Hello rising fourth graders!! I hope you all are enjoying summer vacation! I just wanted to remind you that you should be practicing your math facts and reading while you’re on break. Practice your personal flashcards (the triangle ones that show fact families which we made in class) or play some online math facts practice games from the Math page of this website. For reading, remember to earn your Book Adventure reward by reading FIVE books in your level. To find out your book’s level, go to the Scholastic website like we did all year in class (if you’ve forgotten the procedure, go to the Reading page of our class website, and read the first entry to refresh your memory). Then, go to Book Finder on the Book Adventure website to find novels that have quizzes. Take a quiz on the novel you finished on the Quiz-o-matic page. The very last project of the year is when my fellow students had to organize and put together our portfolios. One of the most important papters that we have to keep safe is our self-evaluations. We have to answer a bunch of questions about almost all of our subjects, including behavior and work habits. Not only that, but we have to choose a “best” work and a “needs improvement” work for each area and write entry slips for each piece. 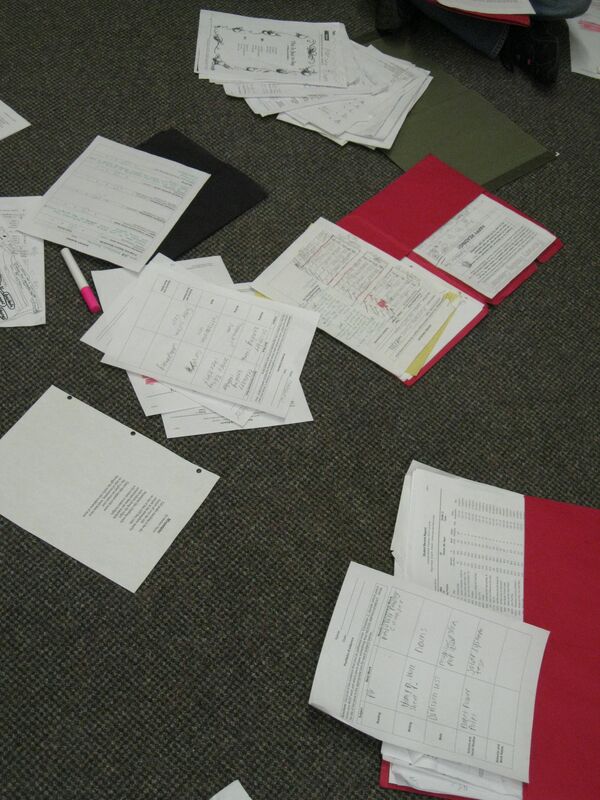 All this paperwork forms an enormous paper hurricane. The only good thing about our portfolios is that it is the last project. Yesterday, we had some very special guests thanks to our favorite music teacher, Mr. Cox. He arranged for the a cappella group, Will Sing for Food from Rhode Island College, to perform at Wilbur School! They were incredible, and the whole school (especially our music-loving third graders) were thoroughly entertained! Thank you, Will Sing for Food! Come back ANYTIME! And thank you, Mr. Cox! 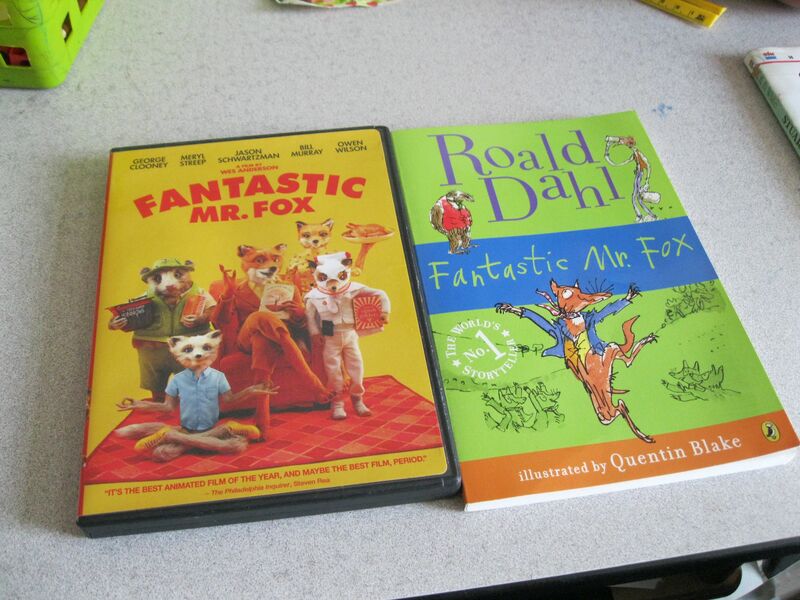 Today, we finished the movie, Fantastic Mr. Fox, and a couple days ago, we finished the book. I prefer the book better, but some of my classmates prefer the movie. W hile watching the movie, we were assigned a compare and contrast sheet. 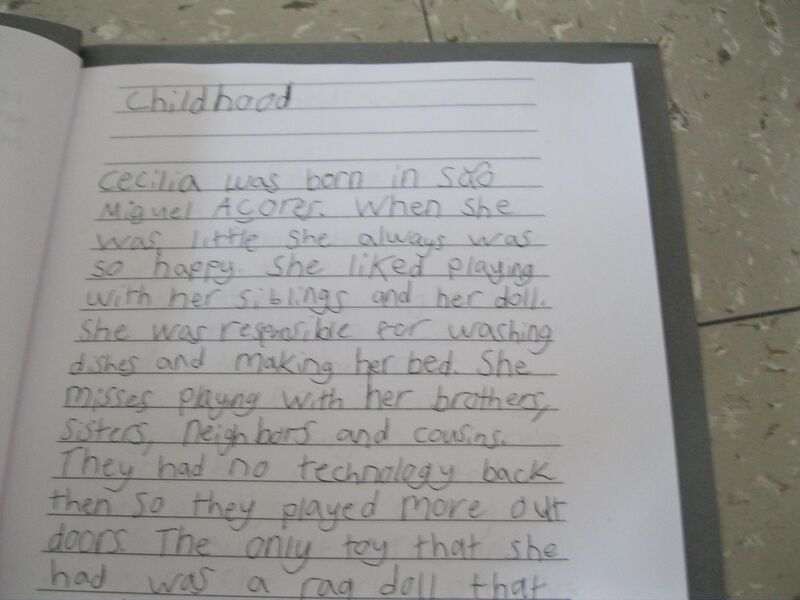 Over many days in class, everyone has made a biography about a senior friend in their family or neighborhood. All of the biographies tell you about people’s lives in ways that are interesting and have voice. 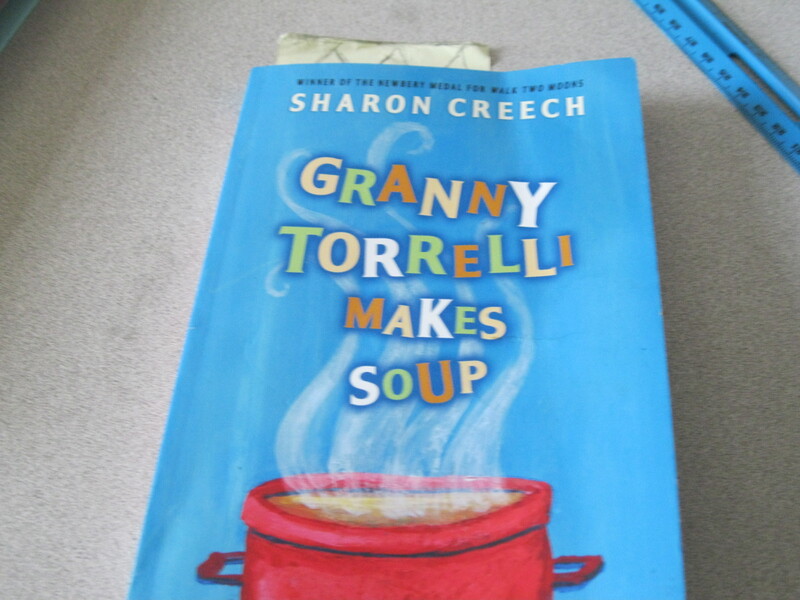 Our class has read a book called Granny Torrelli Makes Soup by Sharon Creech. 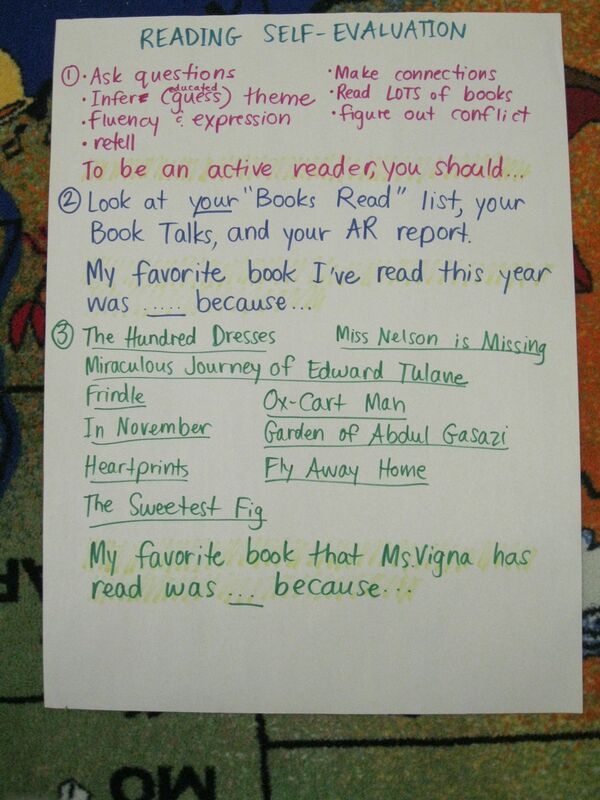 We had to do a reflection so the teacher knew our opinion of the book and what to save or change for next year. There were about eight questions for the class to do. It was not very hard if you did everything correctly. Our thirty AR points are due next week on Wednesday, June 15th. Some people have thirty points, and some don’t. The ones who don’t have enough will not go bowling. The kids who have more than thirty points will go bowling on June 21st! It’s come! The Final Town Meeting is TOMORROW! HOORAY! Come see all the hard work we’ve done. Look at the amazing show. Cool, huh? The Town Meeting is going to be awesome! 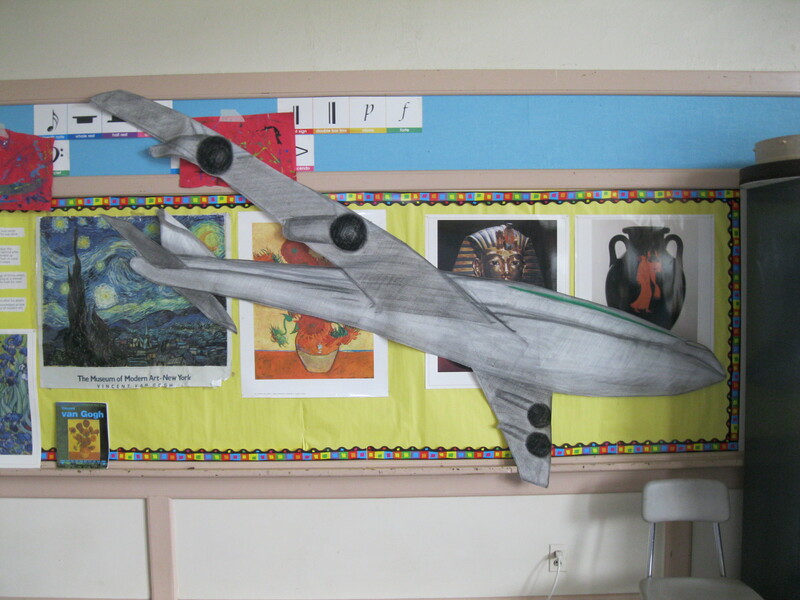 Our theme is travelling around the world, and Mrs. Crowley made an amazing airplane. Come to the Town Meeting and see it. It’s going to be great! At school one day last week, a war hero, the most fantastic war hero, came to visit: Scott Comiskey. 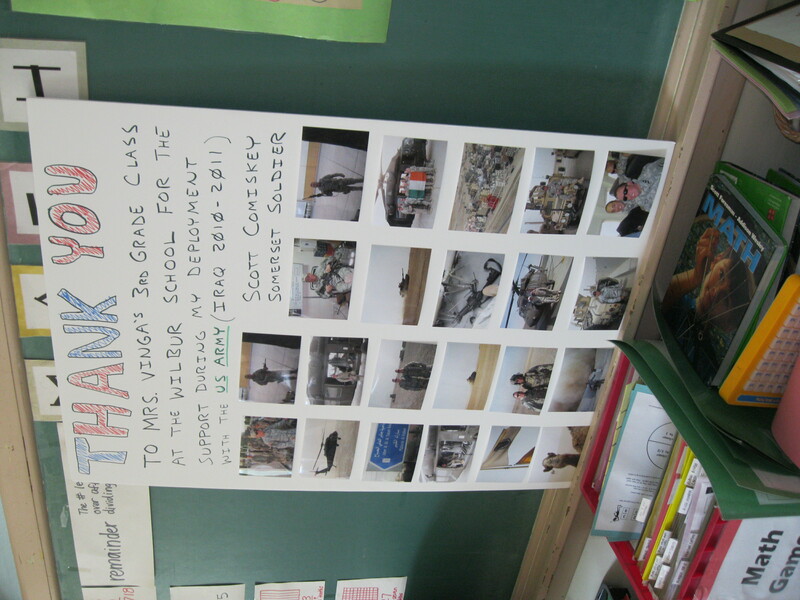 It’s all thanks to one of our classmates (so give him a big thanks!). Our new friend said thank you to our class for sending him cards at this tragic time. 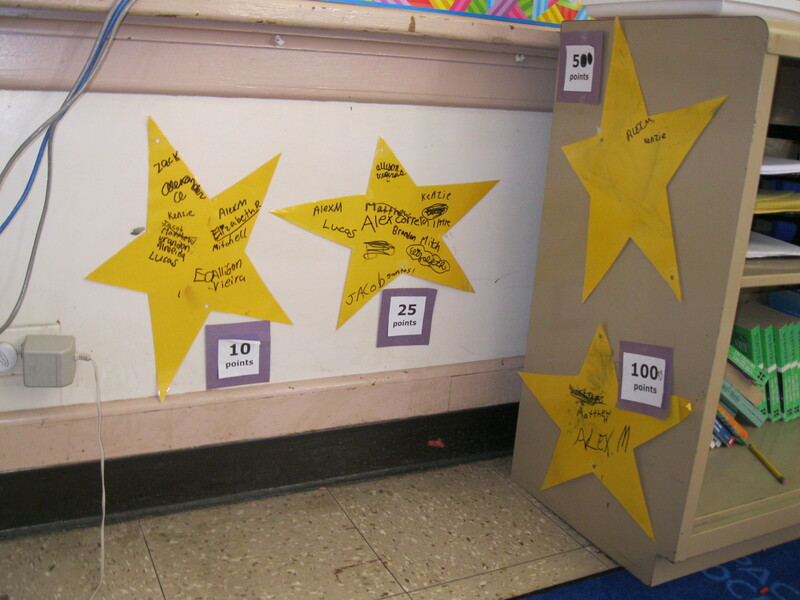 Our class is still working on our class goal: TEAMWORK. In graduate school, I read Vivian Paley’s wonderful book, You Can’t Say You Can’t Play. In it, she describes how she worked with students at a school to create that one, all-powerful rule kids should follow. Together, they decided on, “You can’t say you can’t play.” This rule is one that 3V needs to heed. At least once a week, I tell my class that a person’s goal in life shouldn’t be to make his or her own life better, but someone ELSE’S life better. Change someone for the better. For good. To help make this point today, I played the song “For Good” from the Broadway musical, Wicked. The lyrics say it all. Feel free to refer to these experiences for those teachable moments you encounter this summer! In math, we are starting a new project! 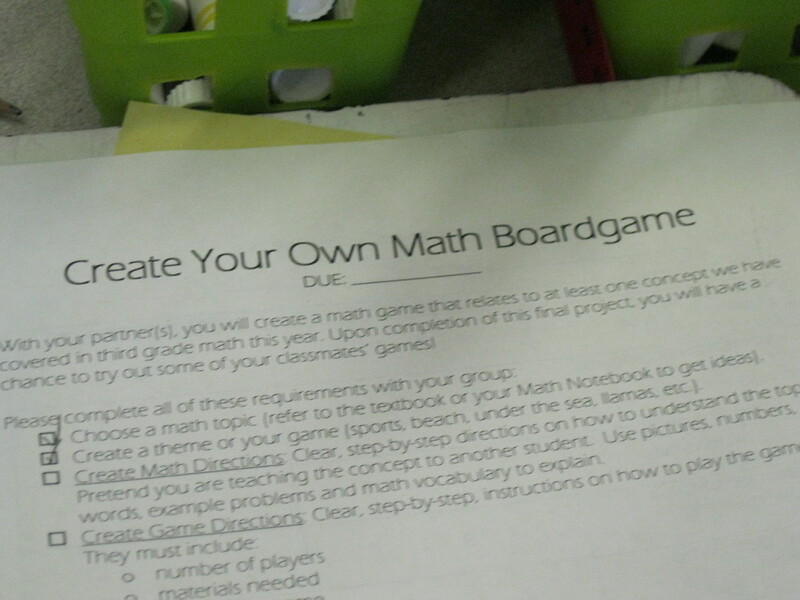 It is called “Make Your Own Math Board Game.” We will work in groups ot create a theme, name, game, directions, box and everything for the project. We will do most of it in class. This will be a great way to wrap up our year! This whole year, students have curiously asked about the mysterious “Blogger” job on our Class Jobs poster. Well, they’ve finally learned about it! Starting tomorrow, students will be volunteering on a daily basis to report on our class activities on this page of our class web site! They will draft a paragraph and take photos to document our day. Check in daily to see what’s new in 3V! Ditto, third grade. Knock ’em dead! 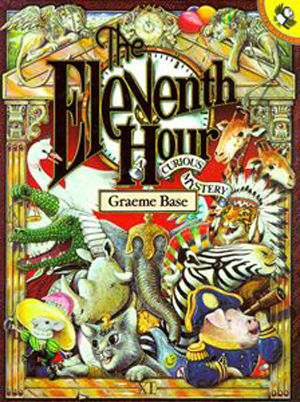 3V friends: allow me to introduce you to one of my favorite picture books, The Eleventh Hour by Graeme Base. Not only are the pictures and story brilliant, but it’s a mystery as well! I read it aloud to the class today, but we didn’t explore the mystery at all (we were focusing on the amazing sentence fluency instead!). I HIGHLY recommend it for some summer entertainment! If you think THAT’S bad, please realize that mess represents only two students’ work out of the twelve in our penthouse classroom. 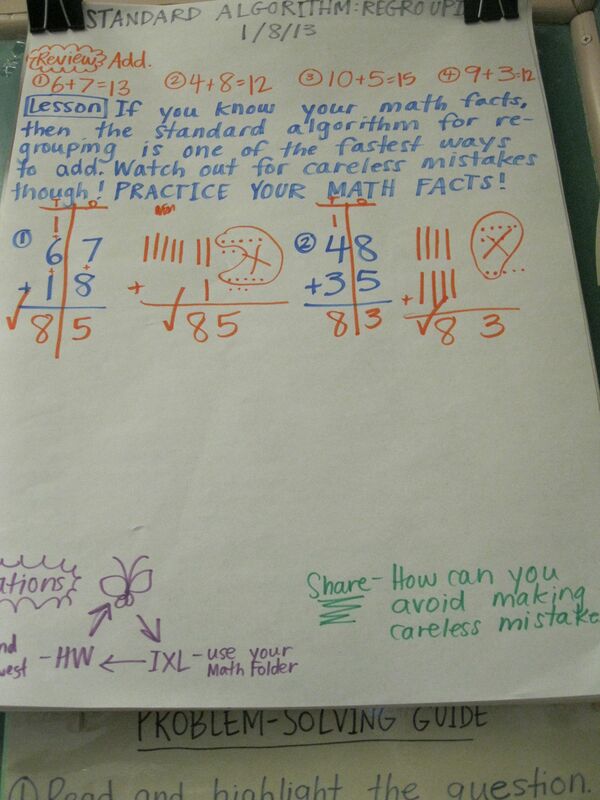 I hope that families enjoyed seeing evidence of their third grader’s learning. This level of reflection is an amazing life skill to practice as your third grader becomes more independent every day in 3V. We’re nearly a week away from MCAS Madness. My bracket has 3L and 3V throwing their best shots and showing their stuff. With all of the preparations we’ve been doing recently, I have no doubt your third grader is feeling more confident about the test. Have you seen “Ms. Vigna’s Magical ELA MCAS Guide”? Ask your third grader to check it out for yourself. In about three weeks, my third graders will be reciting poetry they’ve written and collected at our Poetry Coffeehouse dressed as beatniks. To illuminate what a beatnik is all about, we watched a few clips from the 1957 musical, Funny Face, starring Audrey Hepburn and Fred Astaire. After watching the clips, we made a t-chart listing the kinds of things we saw men beatniks wearing and the kinds of things women beatniks wore. Our list included things like: black and lots of it, black and white stripes, goatees and berets. I can’t wait to see my beatniks on February 17th! You’re ALL invited! 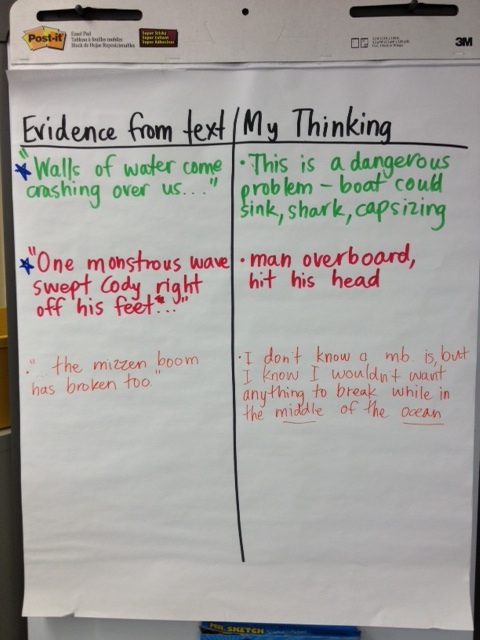 Today in Reading Workshop, my third graders explored rhythm and fluency in poetry. The brilliant British poet, T. S. Eliot, wrote a collection of poems about cats for his godchildren titled, Old Possum’s Book of Practical Cats. After he died, it became the inspiration for the musical, Cats, which we are going to see a live performance of in February! Most of the songs from the show are word-for-word from Eliot’s unbelievably fluent writing, including one of the opening numbers, “The Naming of Cats,” which we read and listened to today in class. Now, you can SEE it for yourself! Consider it a preview of the show we’ll be seeing soon! Today, I read aloud this poem to kick off our poetry unit. After listening to the rhythm and flow of Ms. Farjeon’s poem, students brainstormed their own responses to her question, “What IS poetry?” Based on their ideas of poetry now, I think I will have some surprised students, I mean poets, at the end of our unit! I’ve added a new link to my sidebar: Google Documents Sign-in. Since the computers in our computer lab aren’t networked, I cannot access students’ work without going to each computer individually. To make this process more streamlined, I’ve used Google Documents (or Google Docs) to create a mini database for our third graders to store and work on any word processing (typing) we do in class. By going to the Google Documents Sign-in page, signing in using the username and password students received in class (check the inside of their agendas), third graders can now access their work from ANY computer on earth as long as there is an Internet connection! Pretty handy, huh? 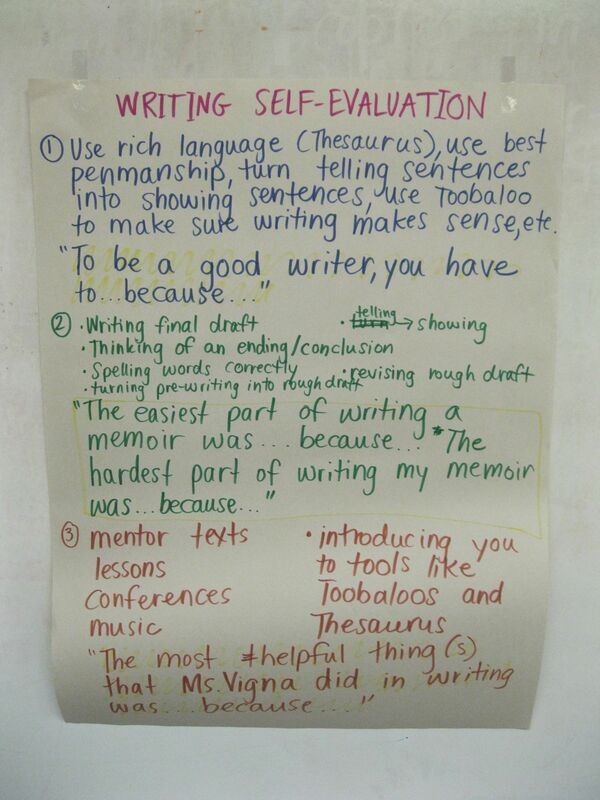 I would like to introduce you to a fantastic writing tool third graders started using this week, the Toobaloo. 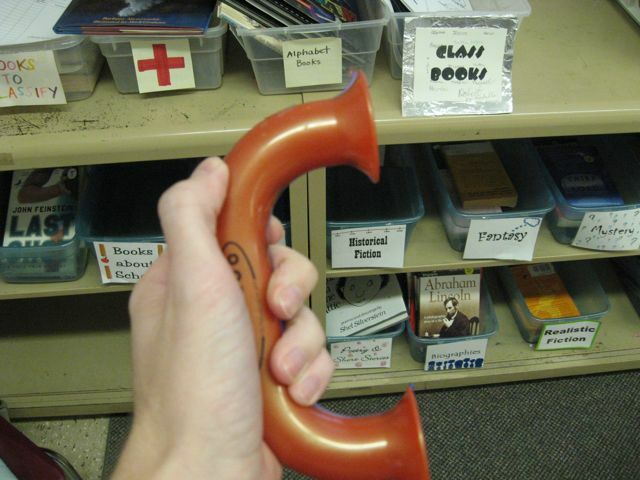 The Toobaloo is a tool writers can use to read their writing aloud. It magnifies a writer’s voice ever so slightly, which sometimes helps him/her zero in on those subtle, careless mistakes like missing words, overused words or unnecessary words. It also helps him/her notice if the piece MAKES SENSE. Now, you probably won’t be able to find a Toobaloo in your local Target, and who wants to pay $4 for something that you can MAKE for less than a dollar at your local hardware store? 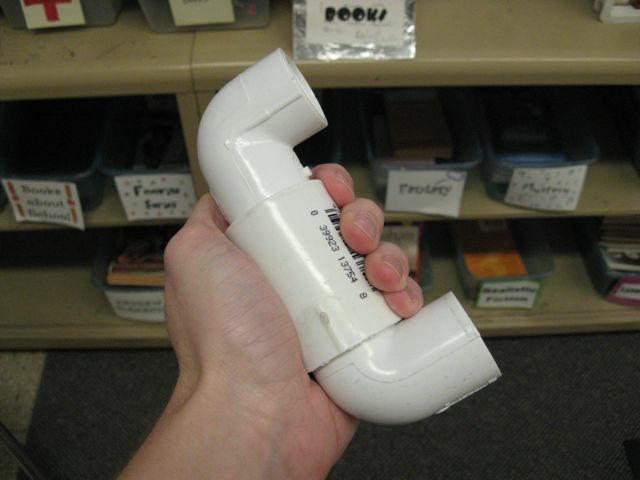 I highly recommend that you visit the plumbing aisle to pick up the three little pieces of PVC piping to make a Toobaloo of your very own. Cue the heralding trumpets! What an exciting announcement I have for you today! It’s no secret that I am giving Spielberg a run for his money (read: kidding! 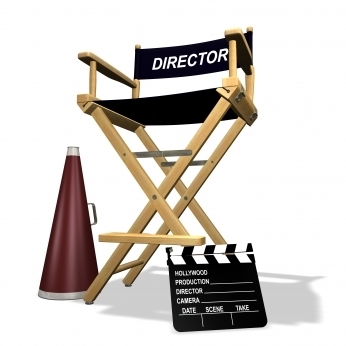 ), so it should be no surprise that I have been cooking up all kinds of ways to use video footage on our class website. I can’t release students’ images online, but *I* can be in as many videos as you can stand. So, my third grade friends, I am announcing the launch of…VIDEO TUTORIALS!!! That’s right, after a long day of learning in third grade, you can go home knowing there’s a little refresher course of the material we covered in class on our class website. For instance, click on the Math tab above. The very first subcategory is now “Video Tutorials,” where you can watch my very first and very ROUGH video tutorial on “Subtracting Across Zeroes.” I had to really zip through the problem because I needed the video to be about one minute and thirty seconds. I’m hoping my future tutorials won’t be as rushed and jumbled. What do you think? Give me feedback!! 1. 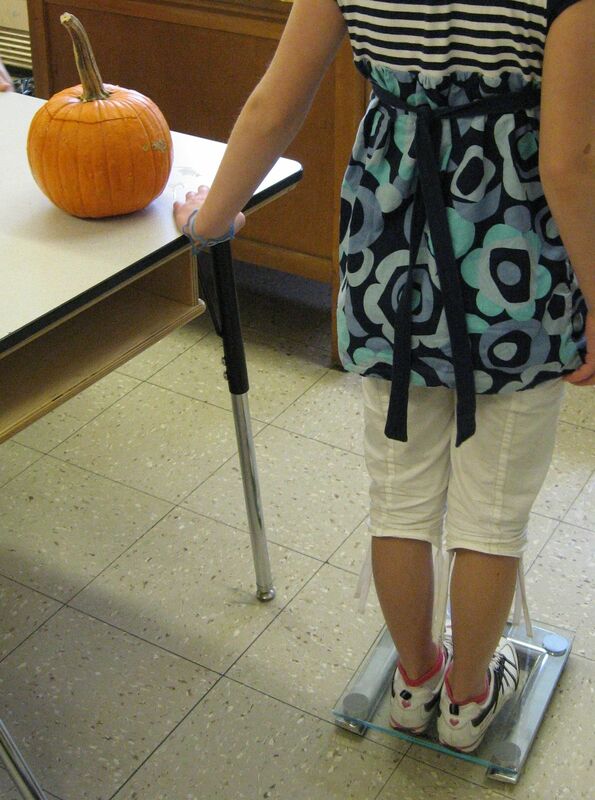 Measuring the height of their pumpkins in centimeters. 2. 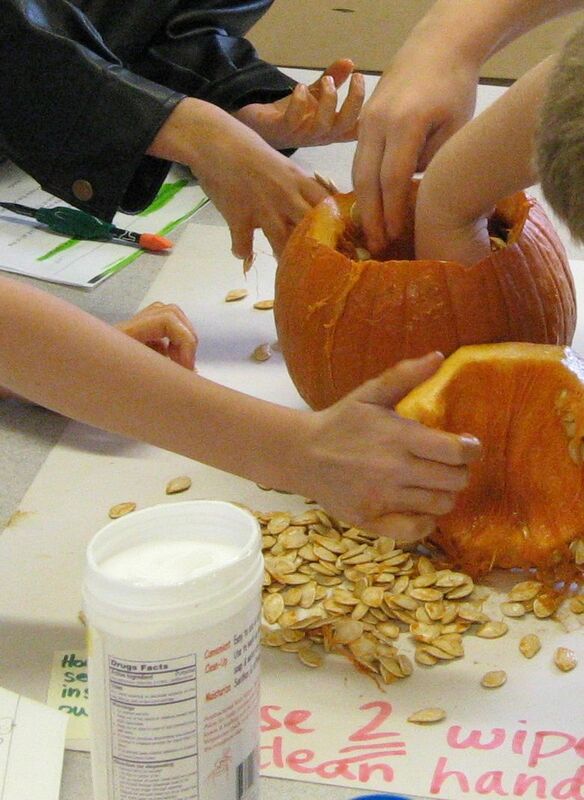 Estimating the number of pumpkin seeds inside the pumpkins and then counting all of the seeds. Definitely the messiest station! 3. 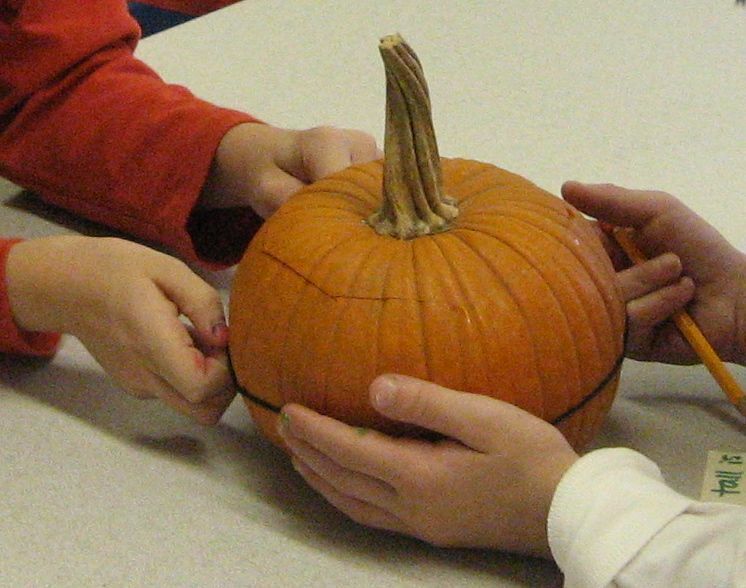 Calculating the weight of their pumpkins. 4. 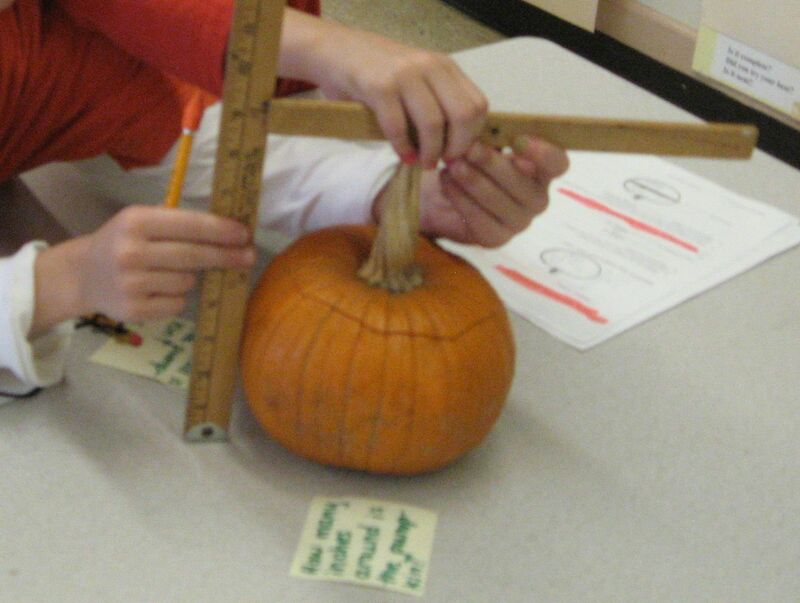 Measuring the circumference of their pumpkins. Later that afternoon, we enjoyed special treats during independent reading time. Hope you all enjoyed celebrating Halloween at home! 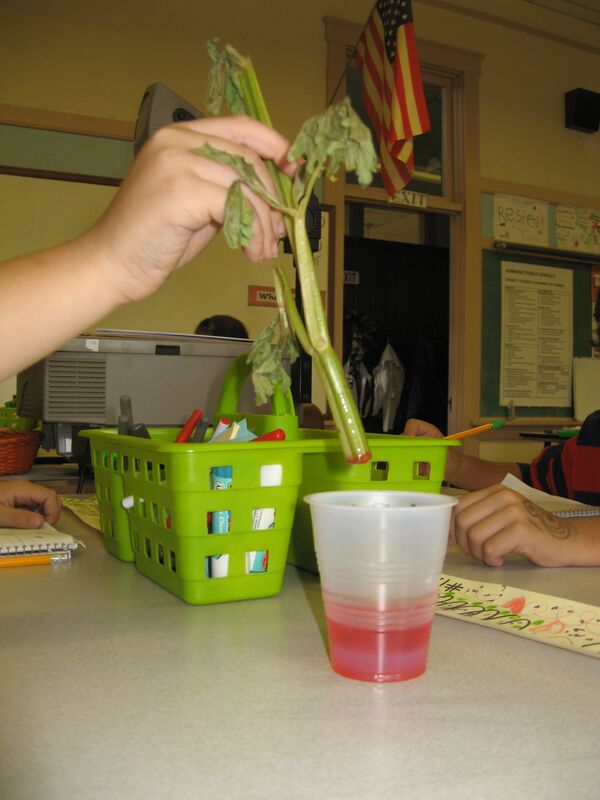 This investigation helped show students the purpose of stems. 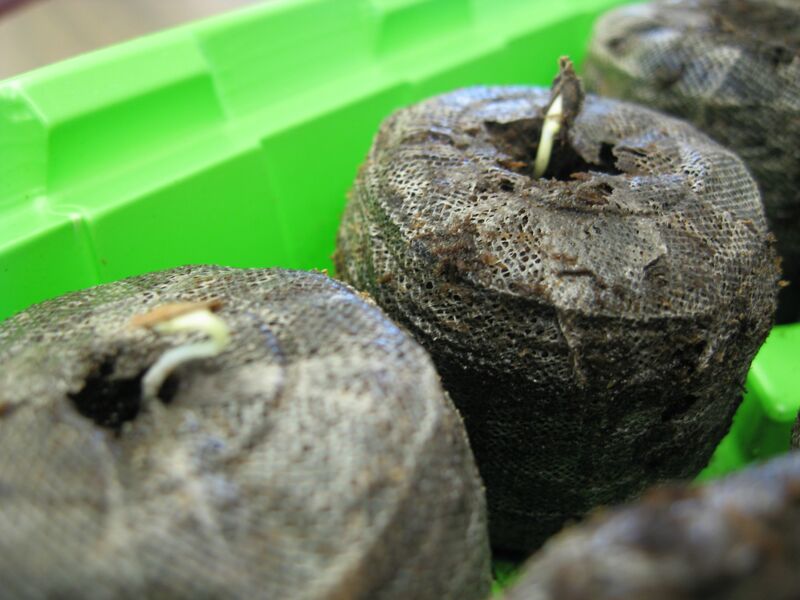 This ongoing investigation will allow students to see the development of the plant from seedling to stem to leaves to flower. Ask your third grader about the words in bold to quiz them! WHO KNEW that cursive would inspire third graders to cheer?! When I announce that we’re going to work on cursive, the class erupts in celebration! 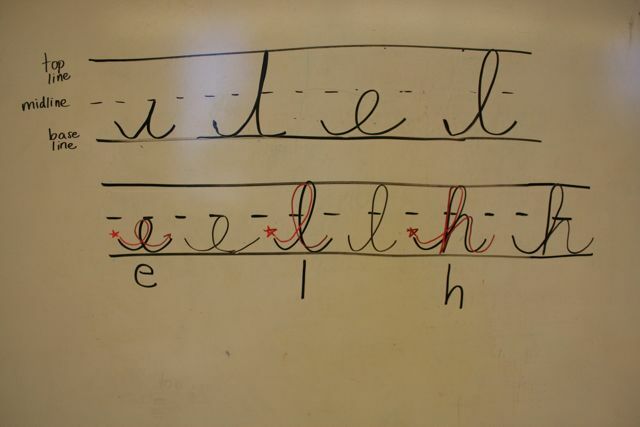 Students will use these key strokes to learn the cursive letters of our alphabet. There is an example of the standard cursive on our Reading/Writing page. Have you noticed the changes to our class website? I’ve changed the pages a bit. I realized that the “Curriculum” page would be about a mile long (seriously!) by the end of the year. So instead of having one monstrous page covering Reading, Writing, Math, Science and Social Studies, I’ve separated them into three pages: Math, Reading/Writing and Science/S.S. I’m sure they’ll still be overflowing with information. At least this way, your fingers won’t fall off from having to scroll down so much. I hope. It’s heeeeeere! 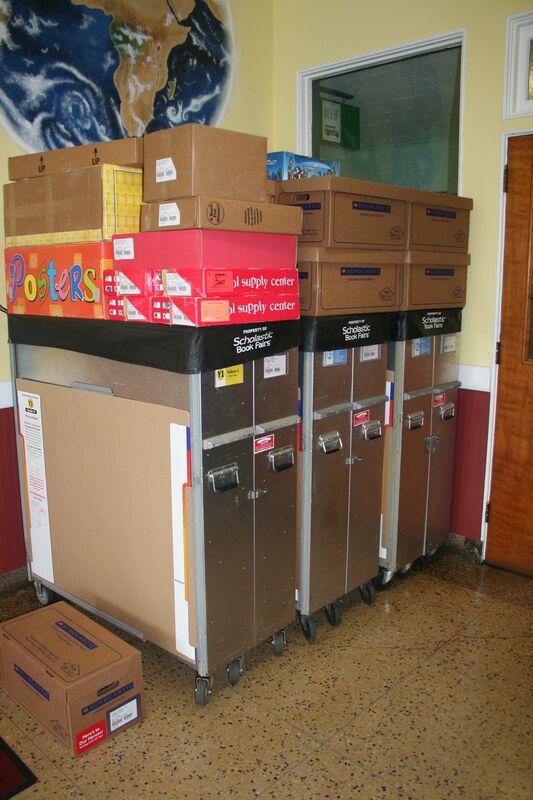 You probably don’t even recognize those boxes and crates, but that, my Wilbur friends, is what about 1/3 of the Book Fair looks like when it is delivered to our school. The Book Fair Preview is on Monday, October 4th from 3:00-5:30! I’m hoping to post a little update at least once a week here. I’m a little late this week, but I hope you enjoy a look into our third grade world nonetheless. Last week, we had a conference call with a scientist. 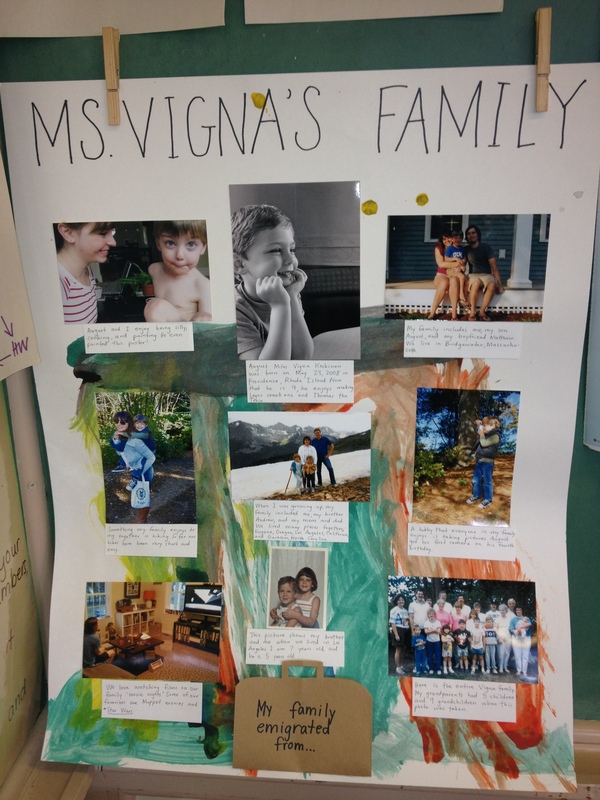 Dr. Vigna, also known as Ms. Vigna’s dad, is a research scientist at Duke University. After introducing the class to the Inquiry Process and science process skills, they enjoyed the chance to quiz a real-life scientist with questions like “How did you become a scientist?,” What tools do you use?,” and “Which step of the Inquiry Process do you enjoy the most?” He thoroughly enjoyed their enthusiastic questions, and I’ve heard many requests to have him visit us in person! I’ll keep you posted. 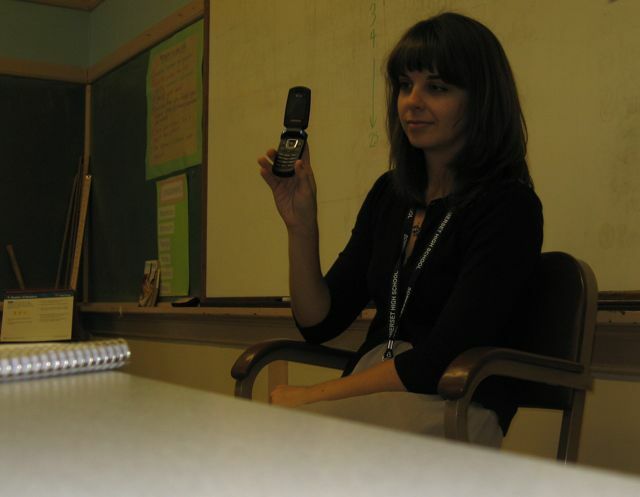 Ms. Vigna holding up her cell phone while moderating questions to Dr. Vigna on speaker phone. There’s a lot more in store this year. I can’t wait to share it with you here. See you next Thursday, September 9th! This is a wonderful tool that my husband and I will be using. Thank You and looking forward to meeting you at the parent/teacher night. Love the Charlie Brown design at the top. Great page and info. We’ll get this posted soon. Hello! I haven’t talked to you in so long, and everyone is happy that you’re back in Somerset! Well, if you do not remember me I was in your 5th Grade class a couple of years ago. Well time goes by fast, and I’m in the 8th grade and right now I am on Honor Roll status. Last year in the 7th grade, I made honor roll all four terms and did good in all subjects. And since Math was my hardest subject I got A’s and B’s throughout the whole term. This year, I have a B in Math, an A+ in Science, an A- in Social Studies, and an A in Language Arts. Right now I have 10 A’s and 2 B’s. Everything really has changed since 2007-2008 5th Grade year. So, I kept on trying my hardest and doing good on those tests, and I got successful results that I hoped and wished for. Therefore, 8th Grade is going well this year but 7th Grade was my favorite Grade in the Middle School Curriculum. But, in Elementary School, 5th Grade was the best year ever! Your teachings have well guided me and prepared me for the challenges that have came into the future. Keep on teaching those helpful tricks and skills into students, and good luck for the future! Wow Ms Vigna! I love the homemade Toobaloo. Great idea! I will have to make some for my writers as well. I would like to take a moment to thank you for inviting myself and Mr. Souza into your class Tuesday. Your use of the Elmo Document Camera was very well done. I was impressed by you and your student’s efforts in reviewing the mathematics problem. The use of collaboration and instructional technology is what is needed in every classroom in the Somerset School District. Kyle Souza here in the Somerset Berkley Regional High School. So glad you have been back, and I plan on coming by either this week or next week to see you. Any day bigger than another? Stop by WHENEVER, Kyle! I’d LOVE to see you and anyone else you wanna bring from former 5V classes! I was there today! I saw a few teachers such as Mrs. Urban and Mrs. D in the office, I will be by again to see you! ms.vigna i could not walk into the class room with out having to say a billion things to you and you listened to all of them. I could not have a day where i would be bored and not want to learn i would never even have the thought to be not busy. At graduation my mom hugged you and said (at this point i am crying) ” Kaitlyn would not have a day where she could not stop telling me about her day. You are a great teacher and never stop teaching like this she loves you so much” I have a homework assignment’s for you, NEVER STOP TEACHING LIKE THIS and STAY HERE AT WILBUR SO YOU CAN TEACH MY SISTERS AND LET MY MOM HUG YOU AGAIN!! !